Neotists is collective for creatives in the St Neots and Huntingdon area and a way for freelancers to connect with businesses. If your a business looking for a particular skill take a look at our directory of members who can be contacted directly via their profiles. If you’re a creative interested in joining please get in touch. Georgina Manning is an artist who works mostly with paint, but also installation and digital media. 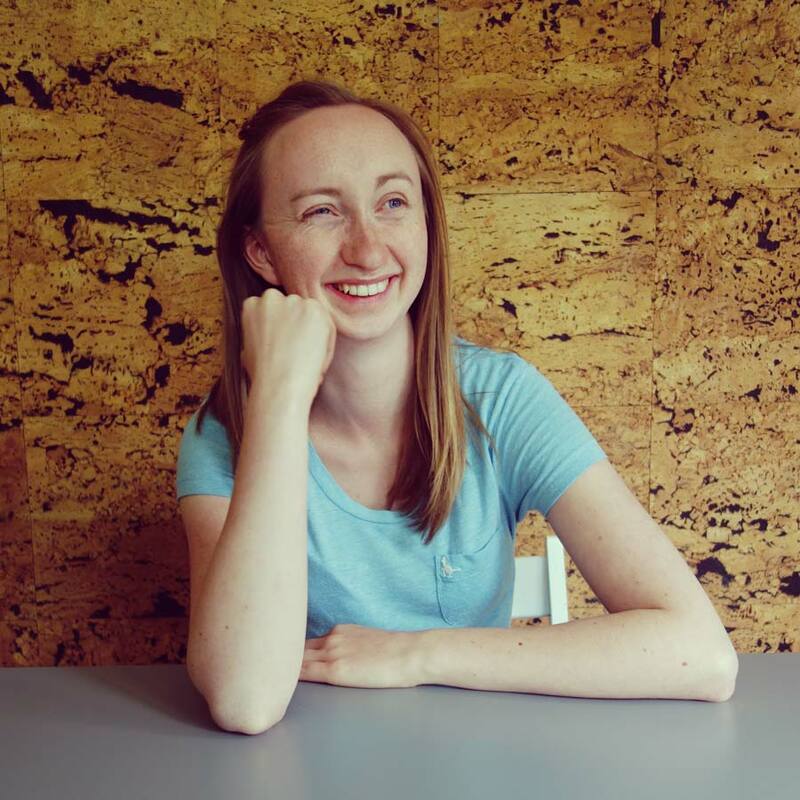 With 17 years’ experience of working with children, young people and communities in a variety of settings, Georgina has been responsible for organising and supporting a range of projects and events. With a focus on using art to help raise confidence and bring people together. Keen to break down barriers to art, she is currently involved in projects in Huntingdon, working to increase arts engagement in the area. 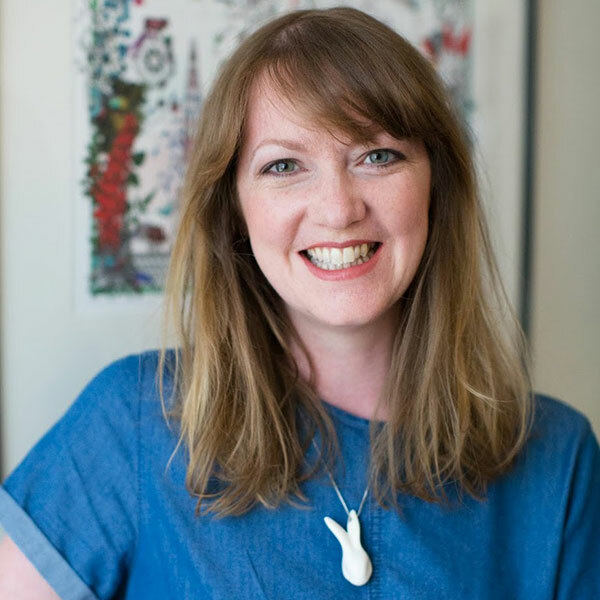 Alongside her own practice, she also offers private tuition and runs art workshops for different events including children’s parties. 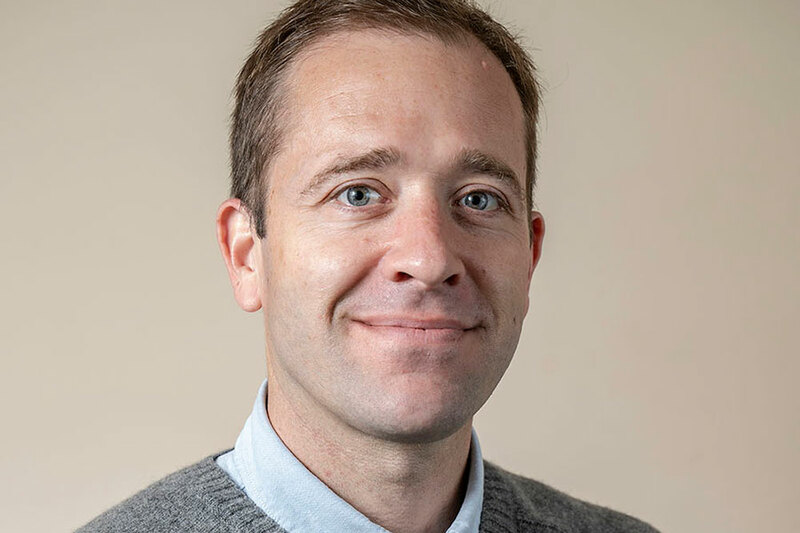 For the past 18 years, Kevin Neal has worked for design agencies in Stamford and have long been a champion of embracing modern ways of working and is a firm believer in using the latest technology to improve efficiency and produce higher quality work. Whether this is through creating high impact photography or developing great website experiences, he always endeavours to delight the client and end user alike. 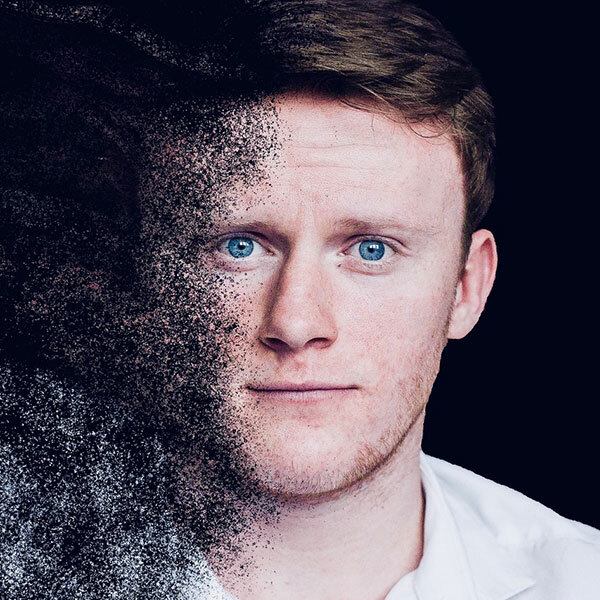 Having started his career as a traditional photographer, Kevin has constantly evolved and taken on new challenges including photo retouching, motion graphics and web development. Kevin is one of the founding partners of AVIDD Design an agency with a simple philosophy of collaboration to create client and designer relationships that will result in better design. 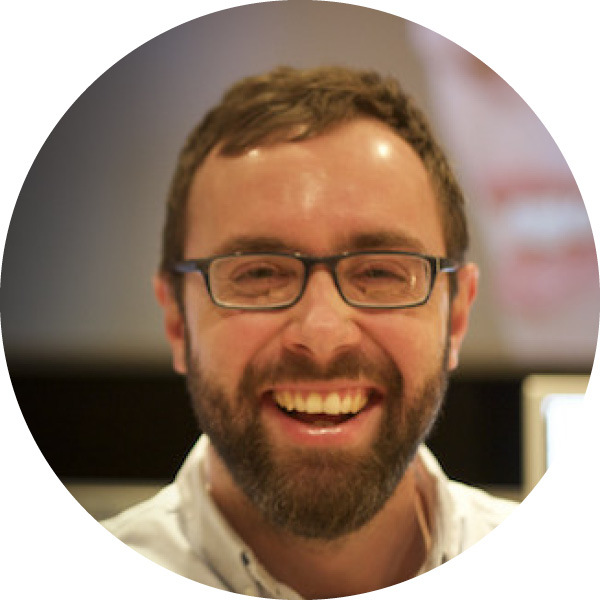 Based in Peterborough, David Brudnell has spent the last 16 years in both agency and in-house environments. He has been fortunate to work on many successful projects and campaigns where close relationships are crucial for effective results. David has a keen interest in ethical and environmental issues and believes great, effective design can be environmentally and ethically responsible. We should always strive to do our best. At AVIDD this includes being as paperless as possible and using recycled materials – our business cards, for instance, are made of recycled t-shirts. David is one of the founding partners of AVIDD Design an agency with a simple philosophy of collaboration to create client and designer relationships that will result in better design. 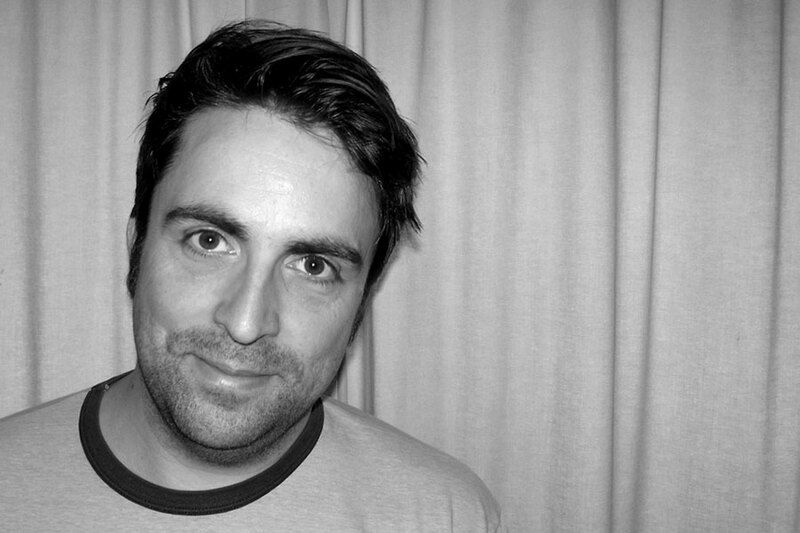 After leaving University, Davey Podmore worked as a graphic designer for IKEA before moving on to numerous Design Week top 100 design agencies. His work has appeared in numerous exhibitions alongside some of his heroes. Some of which is currently housed in the British Museum’s permanent collection. 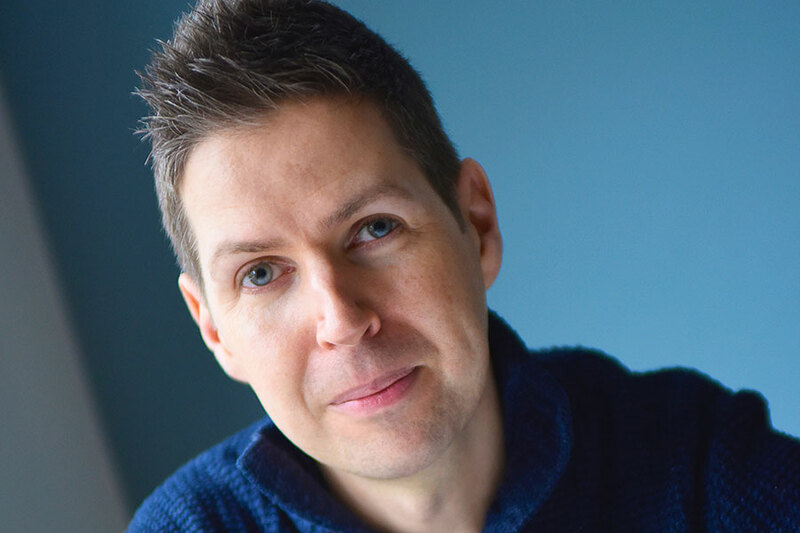 Based in Huntingdon, after working in the industry for many years, Davey now has a better understanding of how clients and designers can come together to create meaningful design. Davey is one of the founding partners of AVIDD Design an agency with a simple philosophy of collaboration to create client and designer relationships that will result in better design. 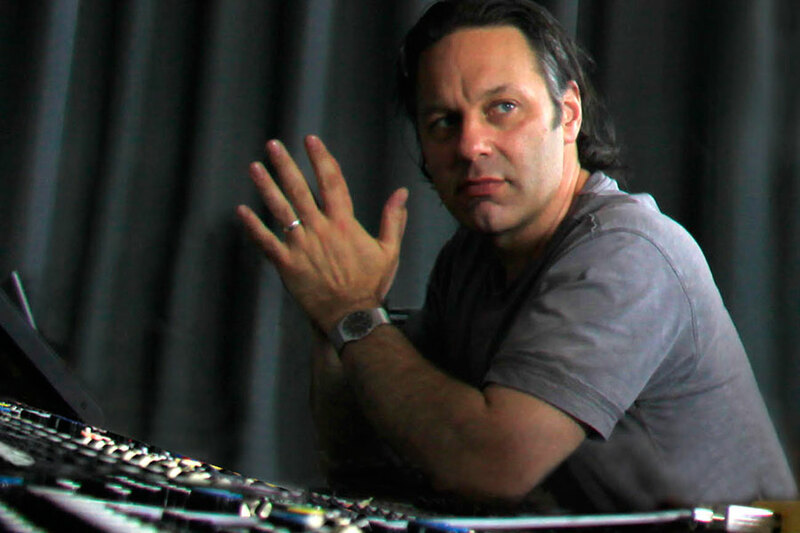 Mark is a multi-award winning musician and audio engineer. He has played concerts across the globe and his albums have received critical acclaim in over 300 reviews in more than 20 countries. As a mixing and mastering, engineer Mark has received many accolades from audiophile magazines on both sides of the Atlantic. 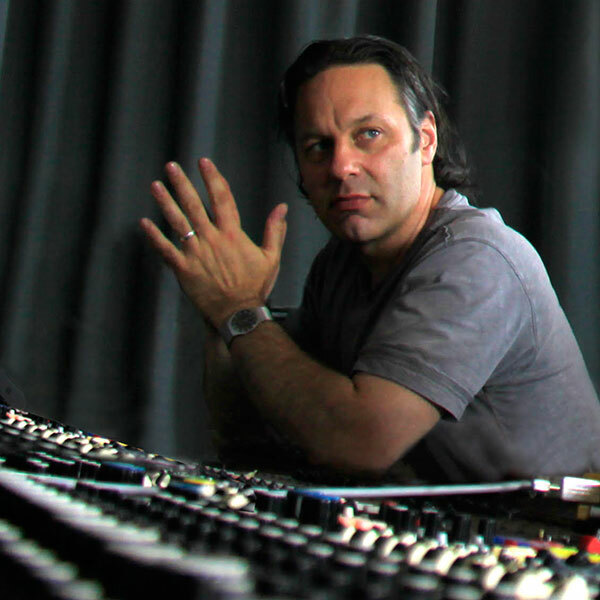 Mark is the mixing and mastering engineer of choice for the NYC based MoonJune Records (Downbeat readers poll third favourite jazz label in the US) and the audiophile label Greydisc Records. 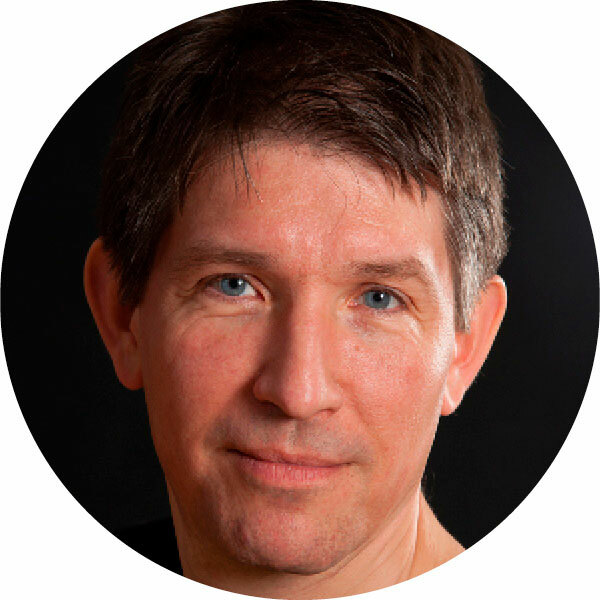 Mark has also worked with the museum sector, recording and editing audio guides and other multimedia audio for Arts Council London, The Fitzwilliam Museum, The Cambridge Museum of Zoology and Kettle’s Yard. 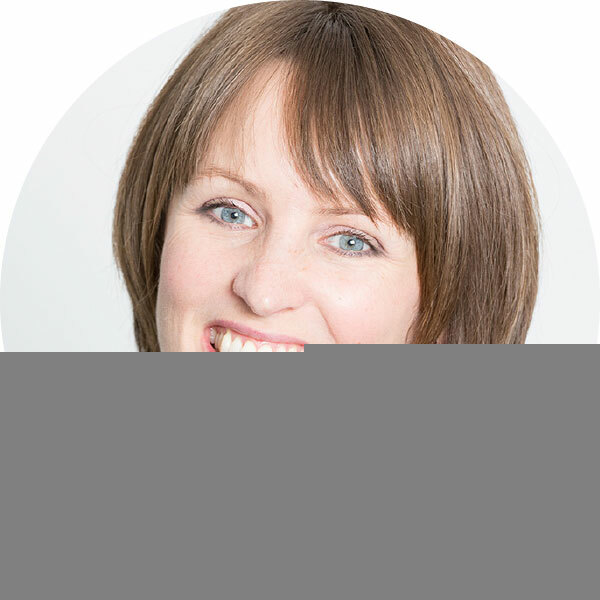 Kat Moir designs and builds websites for small to medium sized businesses and also helps and advises on their growth and marketing. Kat is based in St Neots, Cambridgeshire. 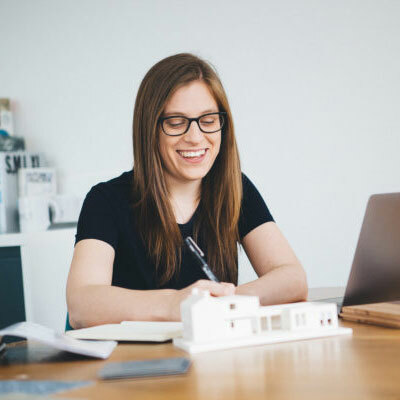 A lot of web design can be complicated, long-winded and expensive and she knows there’s a lot of smaller businesses out there who just need something simple. Kat has lived in this area her whole life, and started working in marketing when she left school. Since then, she worked in both design and marketing, until she helped build an agency specialising in affordable websites for small businesses. After five years, she’s headed off on her own path. Kat is a huge film addict so most of her spare time is spent trying to watch everything she can get her hands on. If she’s not there, you’ll probably find her up a mountain in Snowdonia or Scotland, or awkwardly trying to fit into the culture in a new country. 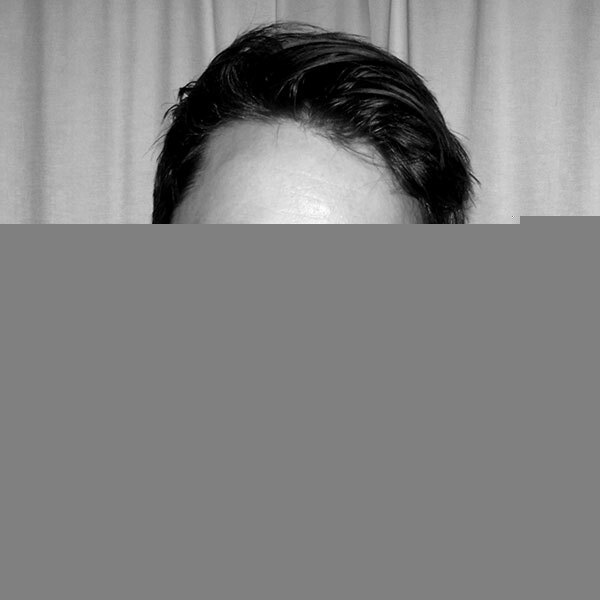 Alex Whiteley is a creative ideas-led graphic designer based in Huntingdon and believes in high-quality, considered design, it’s a conceptual artistic approach shaped into a strong set of design principles. 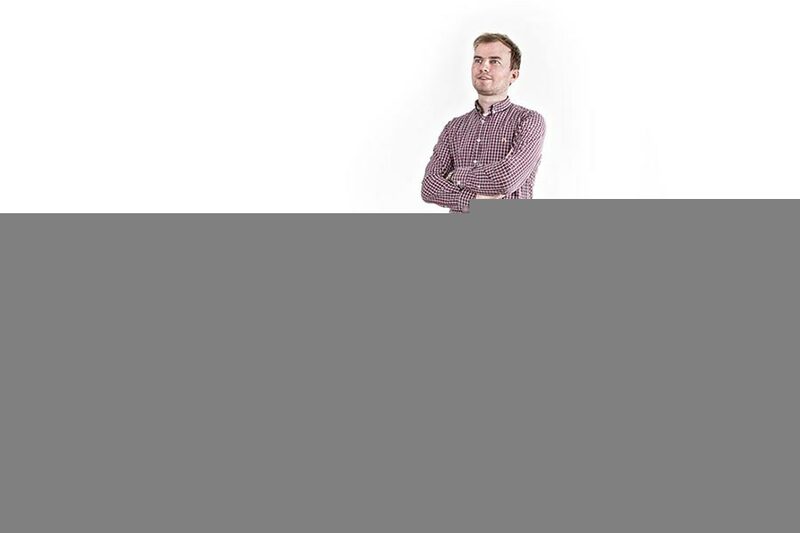 Alex specialises in a research driven use of typography, brand identity, print and web design, social media imagery, digital marketing and videography. Her skills lie in having over ten years graphic design experience in many different areas of industry, and recently achieved a masters degree in graphic design and typography at Cambridge School of Art. Alex focuses on well-researched and developed concepts that best fits the individual needs of each brief. She offers an honest and heart-felt approach, a problem solving strategy and exceptional, creative design that does not cost the earth. Jelena Jordanovic-Lewis is an illustrator, born in Yugoslavia and grew up in Germany. She learnt art when she was young from a classical Serbian artist but she focussed on science in her studies and has only just recently returned to her passion of drawing and painting. 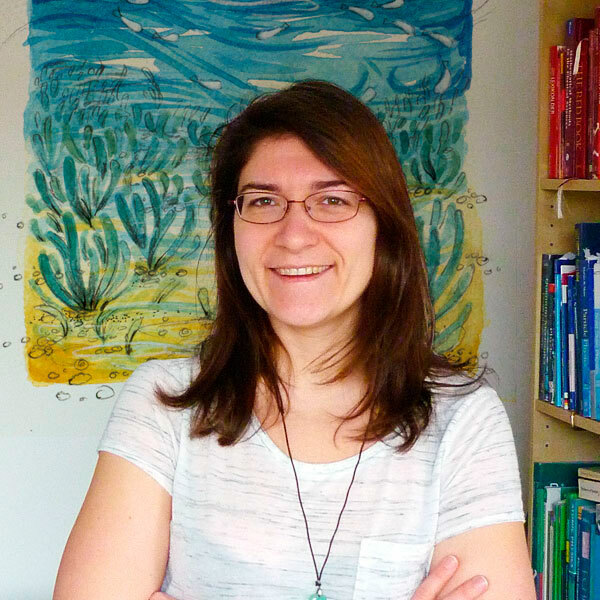 Jelena’s main focus is illustrating children’s books and creating cute adorable characters using watercolour. Jelena lives with her brave, adventurous baby girl and her lovely husband in St Neots but tends to move where the winds of life take her. 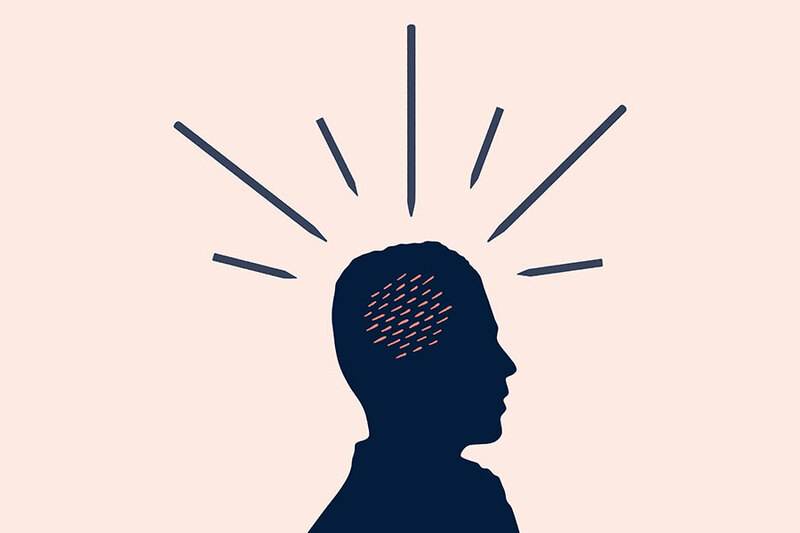 Sam Darlow is a freelance illustrator and designer based in St Neots, Cambridgeshire. Every project undertaken is approached intelligently, communicated creatively and crafted with care, from editorial design, branding and so much more. He believes in developing lasting relationships with clients to build a strong foundation on which considered thinking and design can add value to their businesses and realise their visions. Jessie Stringer recently graduated from studying architecture at Falmouth University and is also an artist in her own right. 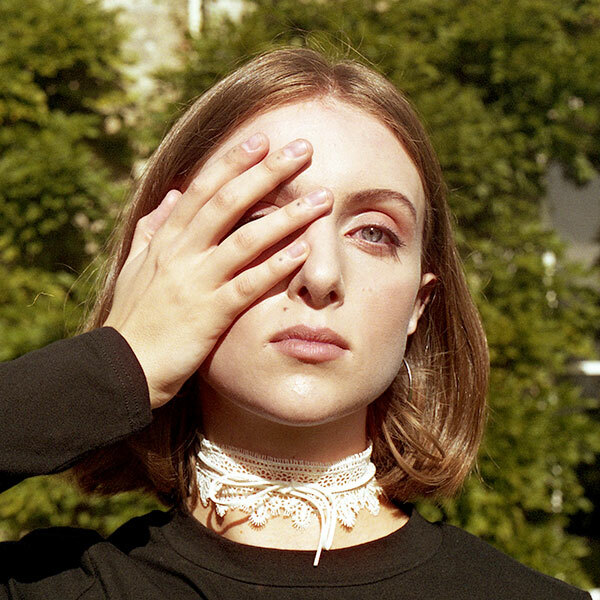 Co-curating her first exhibition entitled Her Perspective earlier this year, she has taken part in various art fairs, art direction roles, and connects creatively predominantly through social media. Her work revolves around abstraction of portraiture and form through sculpture, painting and instillation with themes of mental health and femininity. Jessie is actively seeking painting and sculpture commissions whilst looking to get involved with local creative endeavours. Will Webster is a visual artist interested in the evolutionary competition that arises from the production and display of images. Investigating everyday systems of exchange and attempting to mesh them, Webster probes concepts of labour in contemporary society and bias inherent in “busyness”. Working across various aspects of photographic process, Webster focuses specifically on ideas of capture and display. This approach is inspired by a Derridean concept of the frame as a bridge between inside and out, a fuzzy boundary that in its own way suggests and undermines the autonomy of art. Previous projects have harnessed financial assemblage, the rhetoric of interview, Cartesian geometry and the concept of homo economicus. Core to these activities is a concern to invigorate perceptions of competitive altruism in human exchange. This approach is informed by a decade working as a commercial photographer of spaces and locations. Some of this work can be seen here. 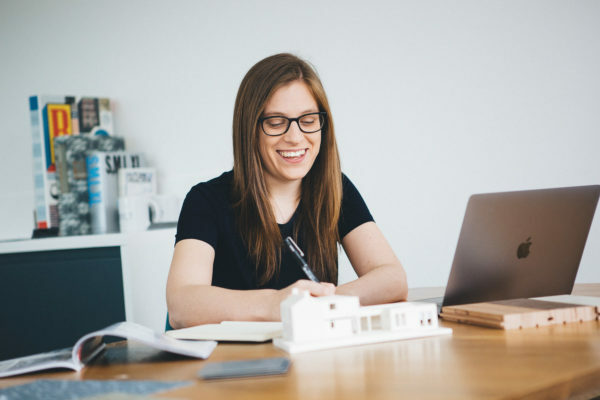 Carrie studied architecture at the Manchester School of Architecture, where she graduated with First Class Honours and Distinctions across three degree programs, and the University of Cambridge. While at Manchester she was nominated for the RIBA Silver Medal (2012) and won a number of other awards. 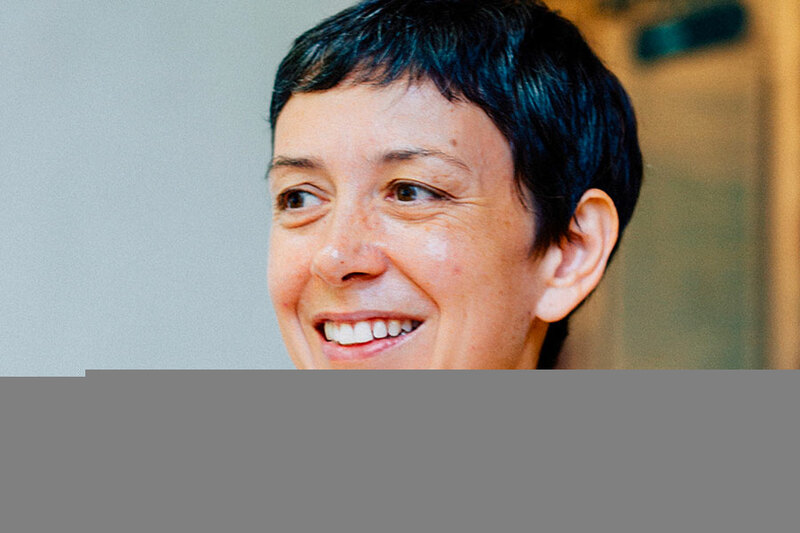 Prior to co-founding BBA, Carrie worked for a number of award-winning architectural practices including Feilden Clegg Bradley Studios (Bath) and Ollier Smurthwaite Architects (Manchester). Carrie was part of the design team behind the Manchester School of Art, shortlisted for the prestigious RIBA Stirling Prize (2014). 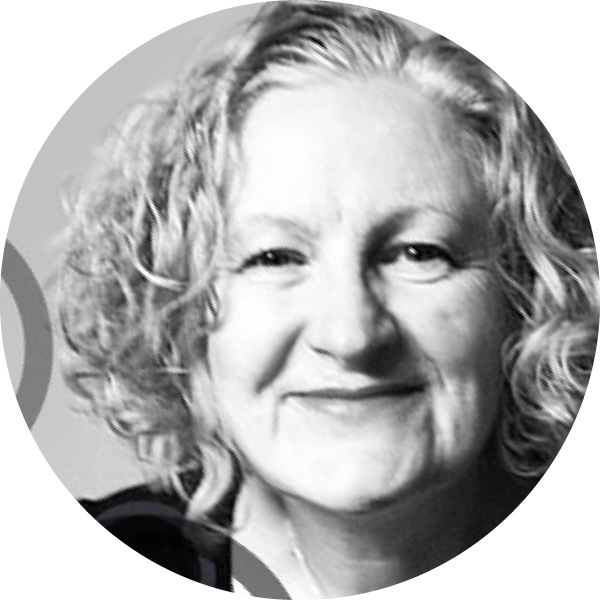 She has experience across a range of sectors and building typologies including private residential, social housing, and primary through to higher education. Carrie was previously an Associate Lecturer at the Cambridge School Art and has served as a visiting critic at the Manchester School of Architecture and University for the Creative Arts. 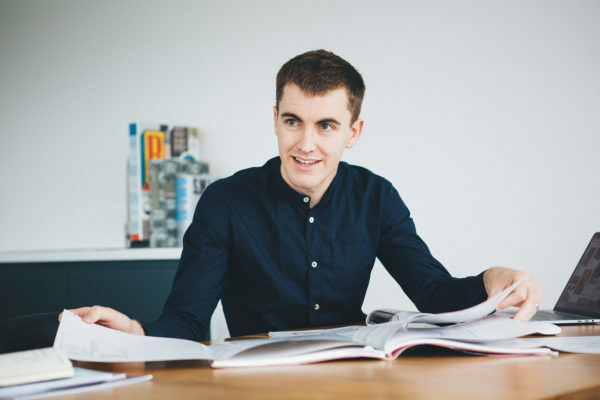 Luke Butcher studied architecture at the Manchester School of Architecture, University of Cambridge and University of Pennsylvania, where he held a prestigious Thouron Scholarship. In addition to First Class Honours and Distinctions in architecture, he also holds a Masters in Environmental Building Design. Luke is the recipient of a number of individual awards and was shortlisted for the RIBA Bronze Medal (2009). 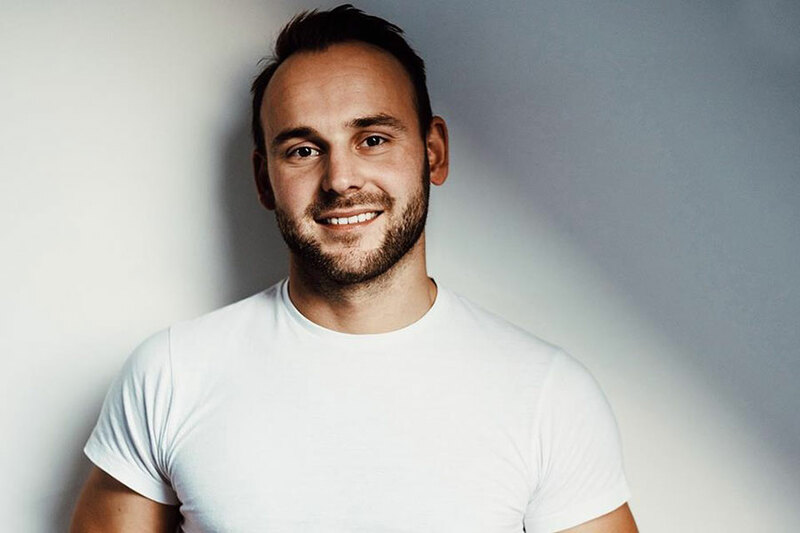 Prior to co-founding BBA, Luke worked for a range of internationally acclaimed multi-disciplinary design and construction companies in Manchester, London and Cambridge. 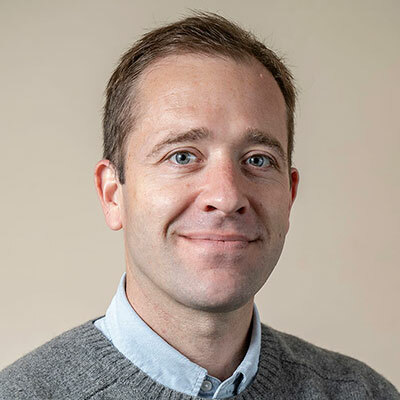 Luke has experience on projects with values ranging from £150,000 to £150 million, including Abraham Darby Academy, SOAS Senate House, Southbank Tower and the Parliamentary Estate. 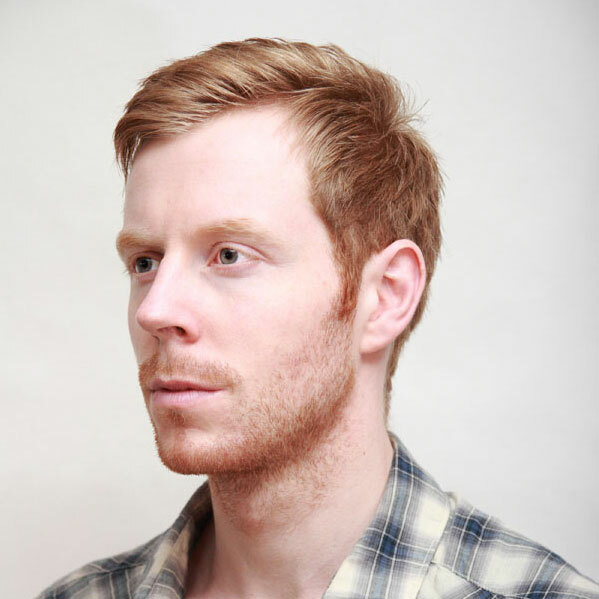 Luke has taught at the Manchester School of Architecture and University of Pennsylvania, with his academic research published internationally. Anna Piecha is a graphic designer based in St Neots who graduated from the Fine Art Academy in Poland in 2011. And has developed her skills as an artist and graphic designer. With over ten years of experience she has open mind for the new experiences and positive flair for the future adventures. Between 2009 and 2015 she had several individual and group exhibitions where she presented her graphics and paintings. Anna is a dreamer, her passion is art: intaglio prints, painting and drawing. 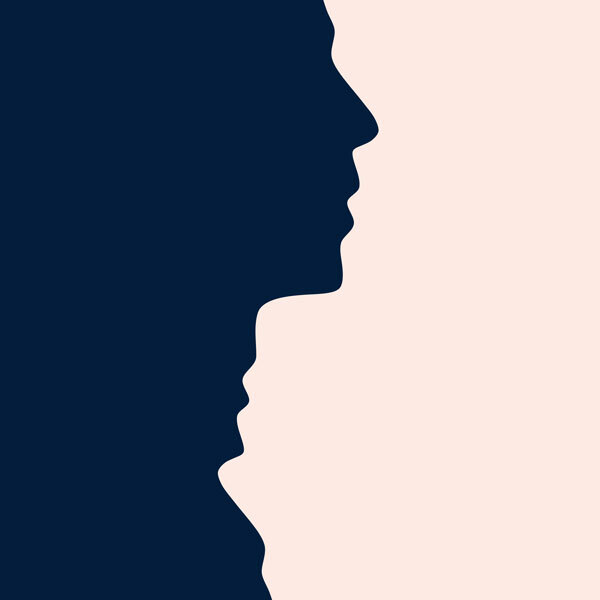 She is a design lover: digital art, illustration, visual communication. She is also expanding her knowledge in UX Design. She is looking for an opportunity to work with a creative people. Calum Morrison is fairly new to the industry and is fortunate with the work he has already received, including commissions from local businesses, such as Shumë, to work abroad with Scuttlebug’s child development charity in San Jose. He is luck enough to have lived all over the world, moving to England only eight years ago. He has always had a passion for photography and videography but only recently started his business. Calum has a wide range services and is always hungry for more work — recently he’s been doing more product photography but keeps an open mind. Services include weddings, commercial, headshots, portraits and events. Calum is currently working on his first documentary about authority, with help from some Neotists members. He also has a couple short films planned for later in the year. Clair Slade has a background in radio, sound engineering, marketing, graphic design, health and childcare and is fired-up by learning new skills. She currently volunteers with local charities and is working as a marketing coordinator for an international telecoms company. Jessamine Payne, or Jess for short is a mixed media graphic designer and illustrator creating art to tell stories and communicate ideas. Hand created but digitally produced; her design work can be used in a variety of applications – from avatars to billboards. Jess works from her home studio in the East of England where she sketches, paints, collages and ink ups designs. When not lettering a logo or painting a pattern you’ll find her walking the dog taking photos of odd textures and landscapes for her work. Jess help individuals, design agencies, art directors and publishers tell stories with graphics. 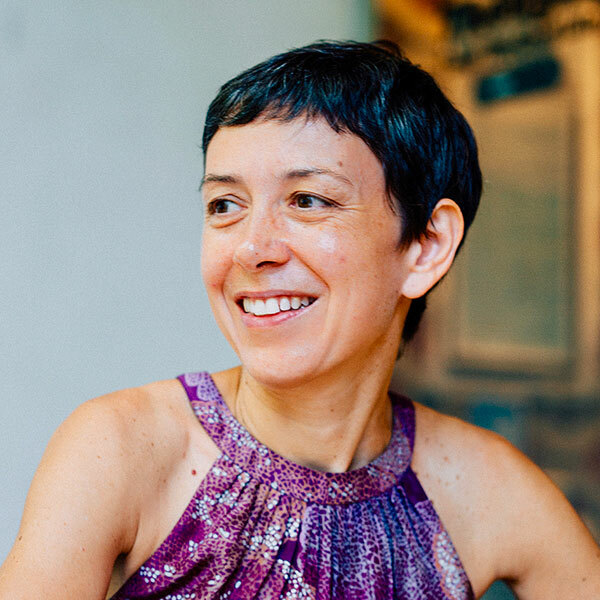 She is passionate about design and love to discover the social and emotional context of projects. Her versatile approach to work means she can collaborate on a diverse range of projects. 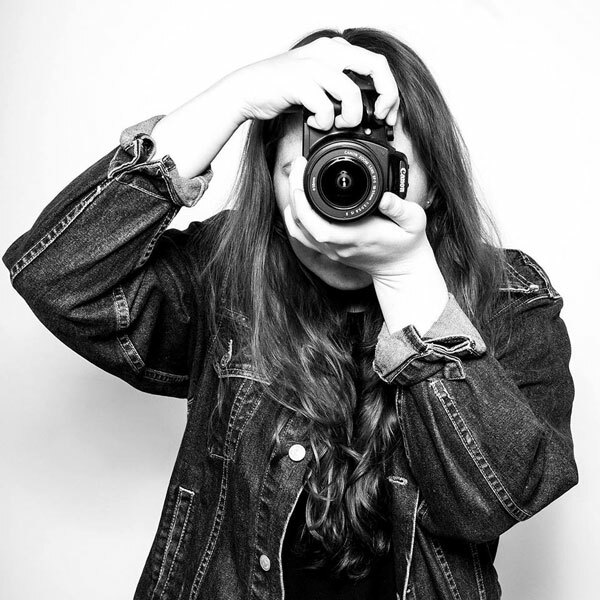 Sian Deciantis currently trains and assesses digital marketing and creative media apprentices, freelances in photography and video work, as well as running her own style blog. Sian likes to keep herself busy and as a creative has a lot of different outlets. 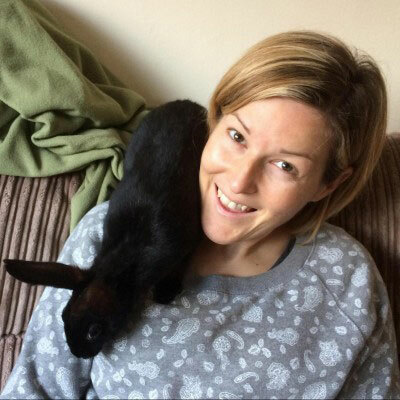 Sian have been a creative teacher for almost eight years and is currently spending a lot of time at Channel 4 with her nine apprentices. Not only does she get to teach them but they regularly introduce her to new techniques, software and processes. Chiharu Gotoh was born in Yamagata, Japan in 1980 and studied hairdressing at Tokyo Hair & Makeup School, graduated in 2000. She worked as a hairdresser in several salons in Tokyo for 15 years before moving to UK in 2016 where she is now a freelance hairdresser. Vicki Clark is a talented artist and illustrator who has now launched her own creative business. Vicki can offer anything from a small sketch of your beloved pet up to a huge statement piece for your home, business reception area, party, wedding or corporate event. Contemporary and modern, or more traditional, Vicki has it all, plus graphic design services. Visit Vicki’s blog for the latest news. 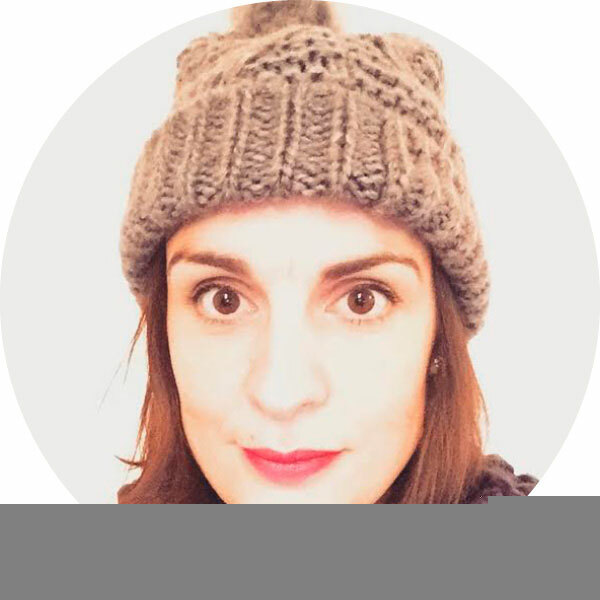 Emma Hodgson is a freelance graphic designer based in St Neots who concentrates on branding and illustration as well as graphics for social media platforms. She works with small start up businesses on logos, stationery and advertising materials as well as covering businesses needing a branding overhaul. A professional, friendly and affordable service is guaranteed. 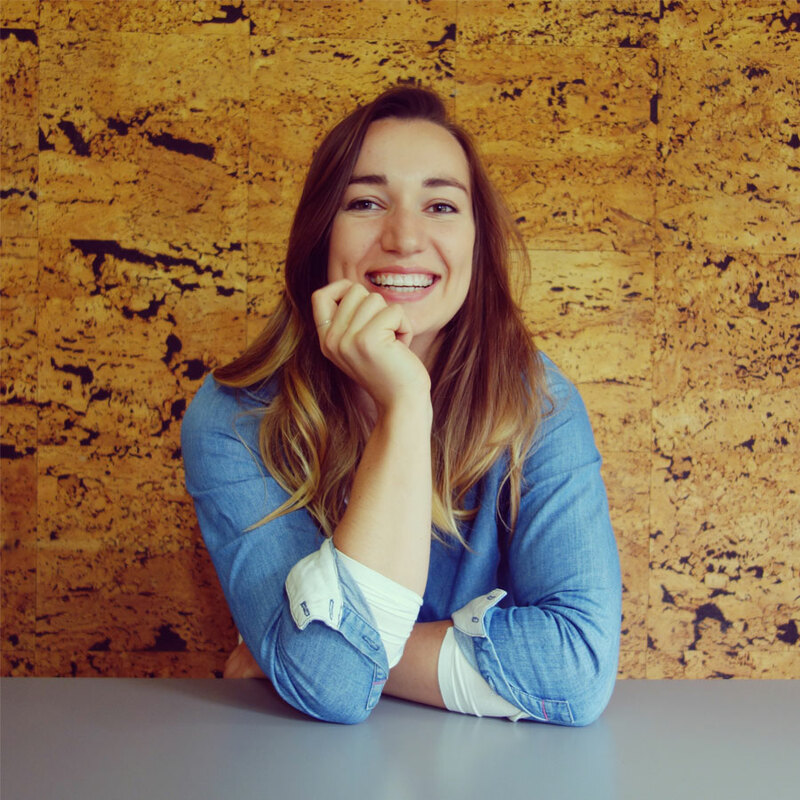 Adele Gilpin is has a background in database design and development and recently moved in to the realm of data visualisation and infographic design. At her previous employer, she identified a need to complement their rather hefty annual reports with snippets of data that were easier to access, digestible and visually interesting. 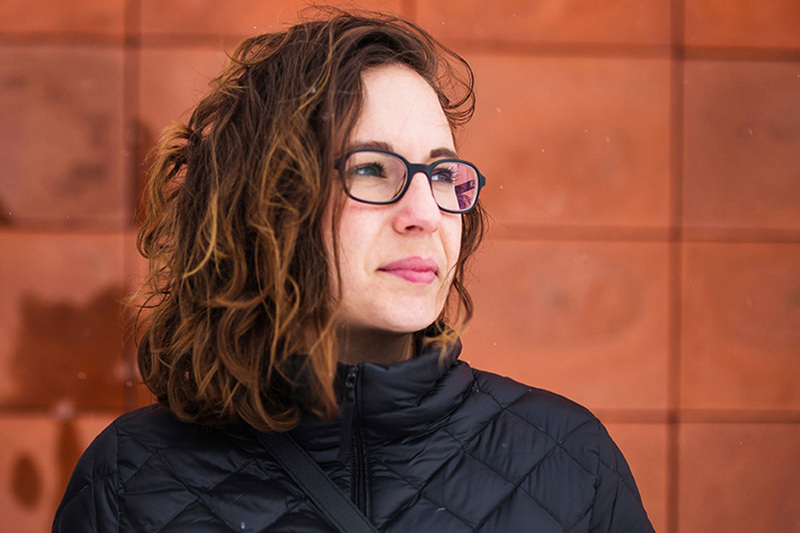 While she doesn’t feel like a creative in the traditional sense, she feels that data can enhance everyone’s lives and her mission is to take the numb out of the numbers. 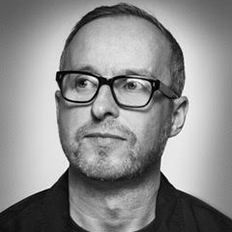 Paul McIver is a freelance graphic designer, website designer and illustrator with over 20 years experience and has worked extensively in the packaging and brand marketing sector, working with clients such as SONY, Nintendo and the BBC. Paul started Opaque Design in 2012, a small agency which specialises in design, web development and brand identity and more recently motion graphics. He also has a passion for t-shirts and has launched Limebox tees in the last 12 months. 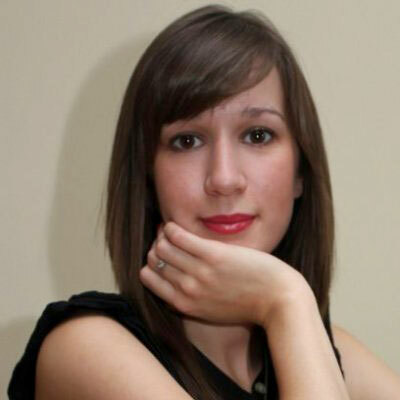 Rebecca Fordham is a freelance social media consultant based in St Neots. During her 5 plus years in this field, she has helped big brands reach new customers and increase sales, as well as having managed communities of over 10 million fans. 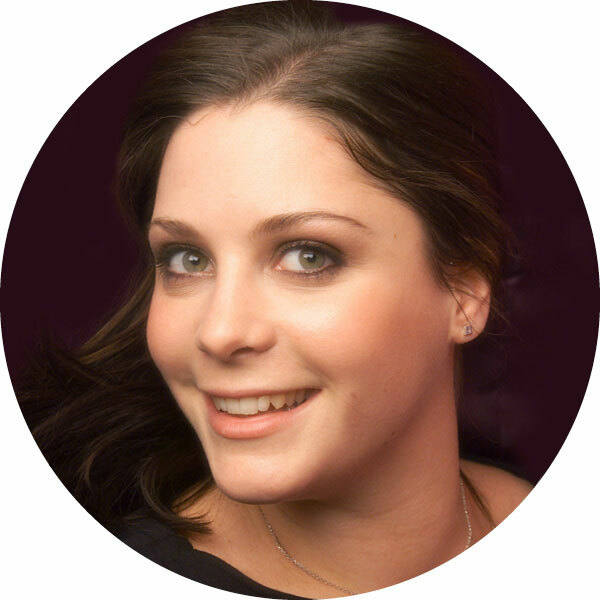 Rebecca’s skills span from strategy development and implementation, to copywriting, data analysis and advert management. She’s driven to help brands truly understand the importance of social media and support them in unlocking its power. Outside of social, she can either be found training in the gym or busy in her kitchen creating alternative treats, free from refined sugars, dairy and gluten. Her passion for living healthily has lead to her specialising in helping health and wellbeing brands in particular. Ben Pitt freelances for various consumer technology magazines and websites, specialising in photography, video production and music production. A serial dabbler in the creative arts, he’s worked as a wedding and landscape photographer, musician, sound engineer, concert promoter, record label manager, graphic designer, video producer and author. He’s also chair of trustees at Love’s Farm House, a community centre on Love’s Farm, St Neots. 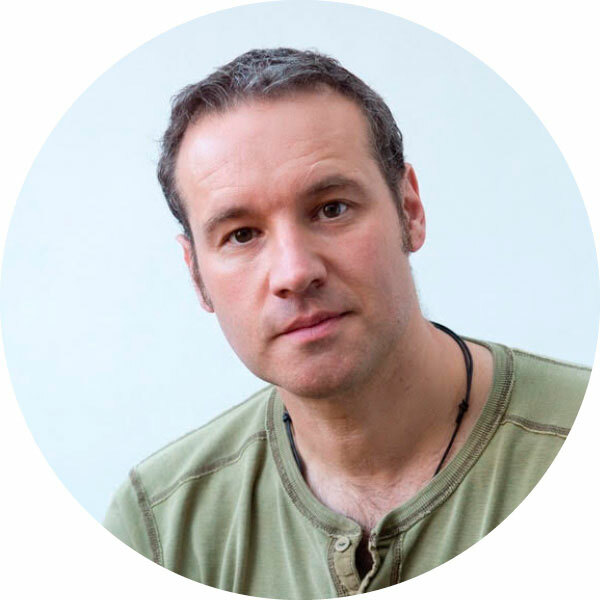 Simon Devlin is a RIBA chartered professional architect with almost 20 years of experience in the construction industry. 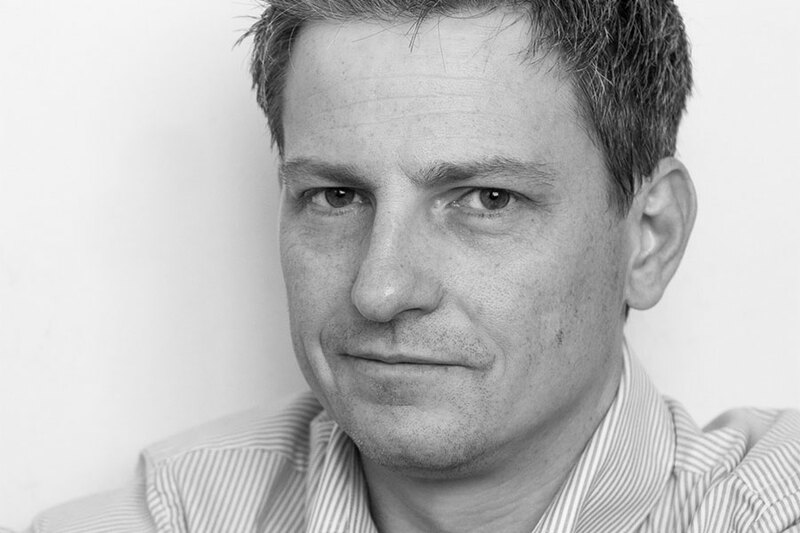 He has worked in Liverpool, Birmingham and more recently in St Neots, where he has set up his own RIBA chartered practice. 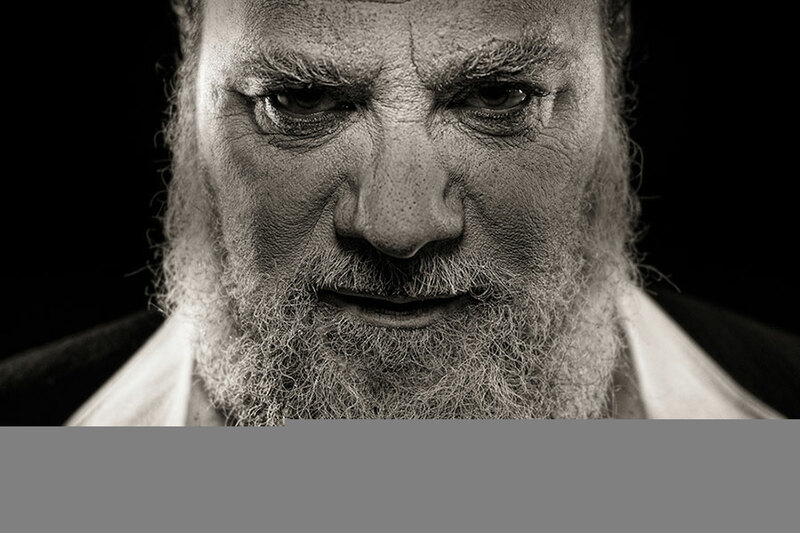 Throughout his career he has worked on a wide spectrum of projects, from the design and creation of an electricity substation and an inner-city synagogue, to high-end London domestic extensions and large residential developments. 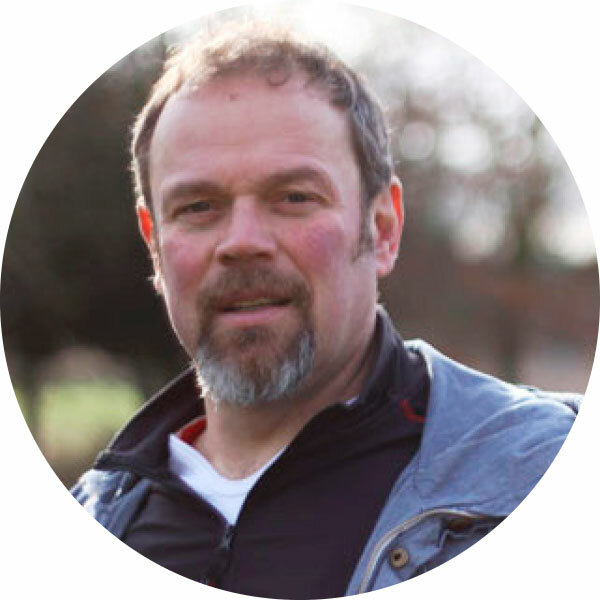 Geographically, his current projects are in the home counties and East Anglia and include large barn conversions, listed building consents, domestic extensions and two new school buildings. Simon has a meticulous attention to detail and his designs combine innovative and imaginative creativity with common sense, practicable solutions. 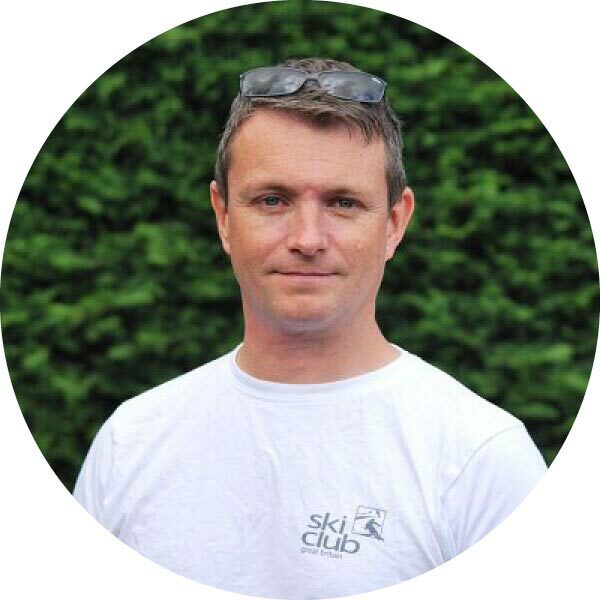 Although he brings his own wealth of knowledge and experience to the project, Simon also works closely with his clients to ensure their ideas, requirements and desires are reflected in the final build. 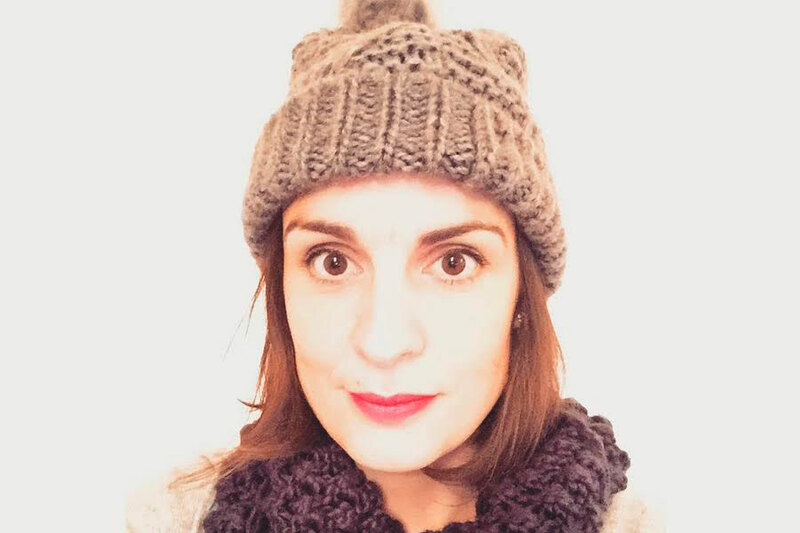 Claire Montgomerie is a textiles designer specialising in knitting and crochet, constructing fabrics, garments, creatures and accessories which are fun, quirky and modern. Her main aim is always to reinvent the products of ancient and traditional needle craft processes while retaining all their intricacies and comforting charm. Claire likes to keep her hands busy and so is constantly working on many different projects. 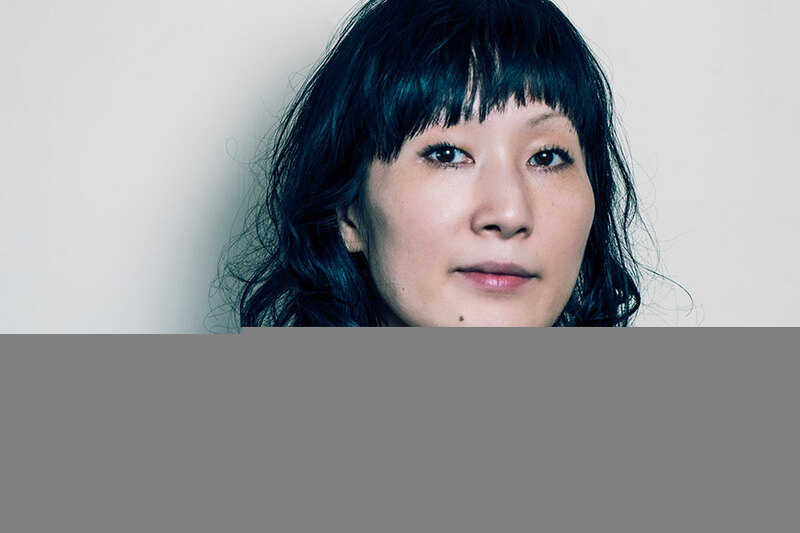 She has made puppets for music videos, contributes patterns and articles to craft magazines and books, and writes, edits and consults on craft books. As well as this, she teaches textiles at many different levels and styles and contributes to Inside Crochet magazine. 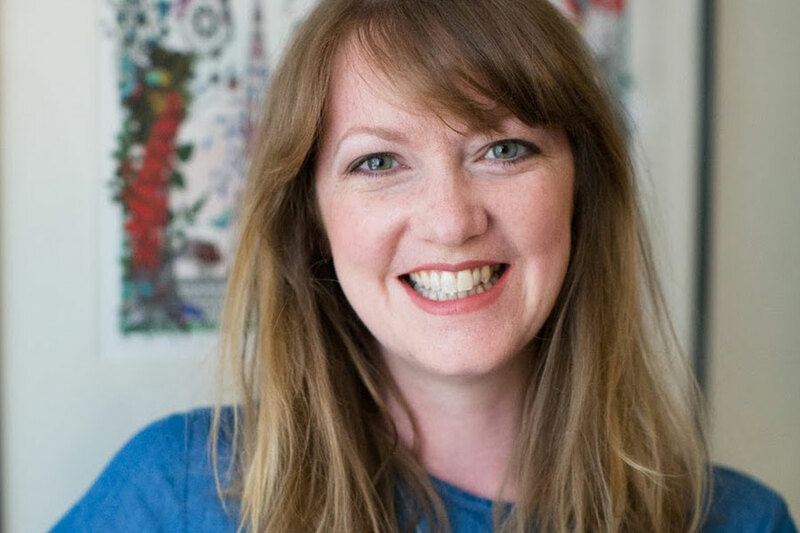 Fiona Brice has spent her working life bringing together creative practitioners and young people to raise their aspirations and broaden their creative thinking. She started out working in education programmes for orchestras in Newcastle and London and then moved to Creative Partnerships, which for many years was the Government’s flagship Creative Learning programme. This was a great opportunity to explore how a creative mindset could inform teaching approaches in schools and give a voice to young people both influencing the work of a range of practitioners and their own learning experience. A move to Singapore in 2010 gave Fiona the wonderful opportunity to experience a range of different cultures at the same time bringing up a young family. She also joined a social enterprise who were delivering the global Design for Change programme to children in Singaporean schools. Fiona took the Design Thinking element of this programme and developed holiday programmes in innovation for preteen and young teenagers, usually culminating in an unusual collection of prototypes made out of recyclables. Charlotte Tenneson works from a studio in rural Bedfordshire. She is a qualified fine artist having studied at the University of Northampton and The Royal Drawing School in London. Her work has two strands; it is inspire by the people she meets and the countryside. Charlotte is known locally for her hares and her large hand pulled linocuts. She is on the committee of the Circus of Illustration; a group dedicated to promoting local artists and illustrators. Charlotte has been selected to exhibit her work at Wisbech & Fenland Museum, Delapre Abbey, Barton Seagrave Hall, Gallery 58 Northampton, Gallery I in South Korea, Avenue Gallery Northampton as well as locally at Animal Gallery, Quarry Theatre, St Paul’s Church, The Art Centre, Pensieri, Frescoes and most recently a solo exhibition at Pavilion At The Park. Aimee Hutchinson is an award-winning visual and illustrative artist based in Huntingdon, Cambridgeshire. 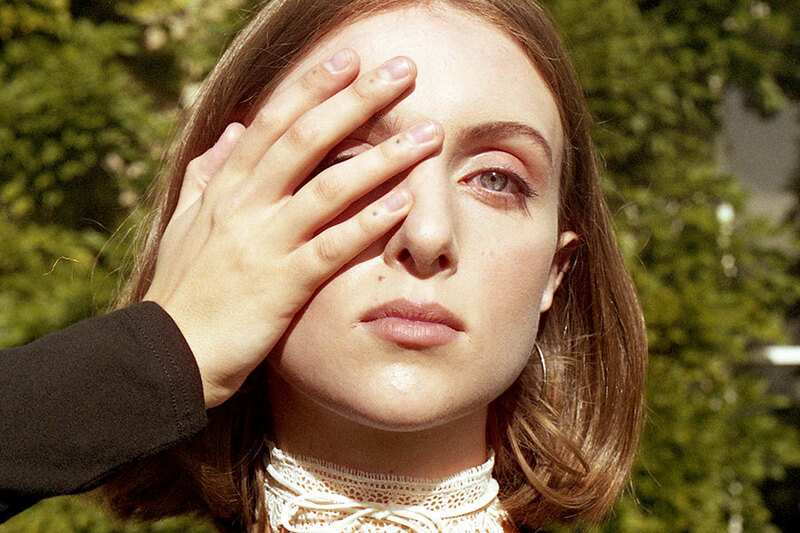 She began her studies at the National College of Art and Design, Dublin, before moving on to the Belfast School of Art where she graduated in 2015 with BA honours in Fine Art. In March 2014, Aimee held her first solo exhibition, Wanderlust, at the renowned Belfast venue, the Ulster Hall and was included in the Catalyst Arts group show. In June 2015, Aimee’s exhibition La Mère de Lapin, based on the infamous tale of Mary Toft, won her the prestigious Belfast Print Workshop Student Award and a year’s residency. Currently, Aimee is working on commissions and has had her work purchased by several buyers as far afield as the United States, Australia and Canada. In the future she hopes to resume her studies and would like to carve a career as a Medical Illustration. 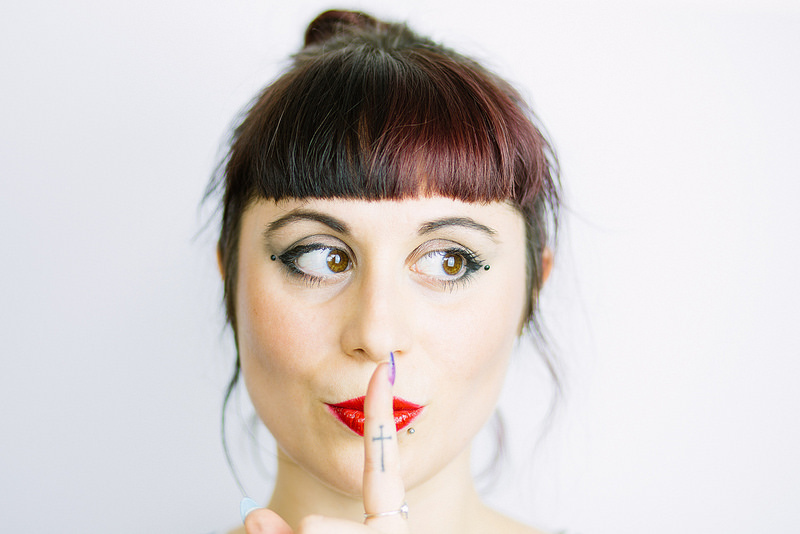 Becks Simpson is a freelance hair stylist who specialises in vintage, bride and events. After leaving school Becks studied and trained at The Keith & Peter Hairdressing Academy in her hometown of Hereford. After five years she progressed quickly, moving from stylist to salon manager. 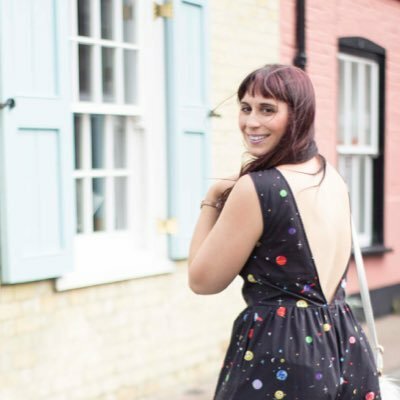 Keen to keep moving forwards, it was then in 2005 she moved to London for two years, during which time she gained valuable experience at the Covent Garden Avenda Institute, Hebe on the Strand and The Mowgli Salon in Primrose Hill. 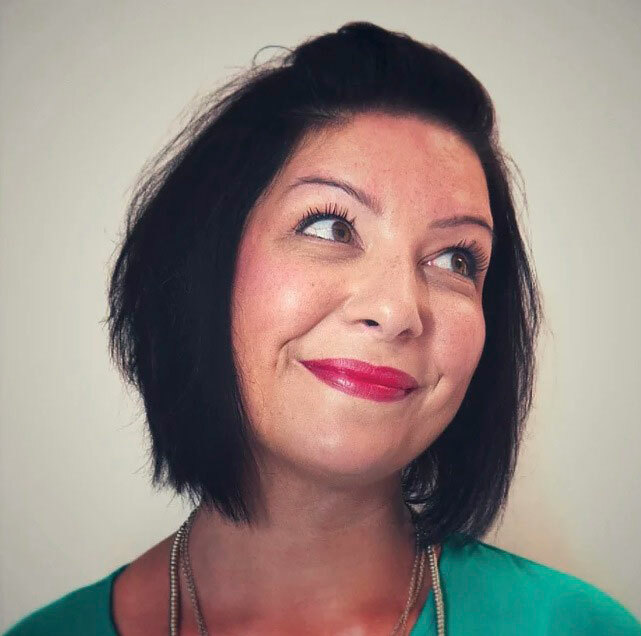 After moving to Bristol for seven years, where Becks Simpson built an on-site salon at the BBC on Whiteladies Road and a second salon at the Bristol University Halls of Residence, she now operates her freelance business from St Neots. 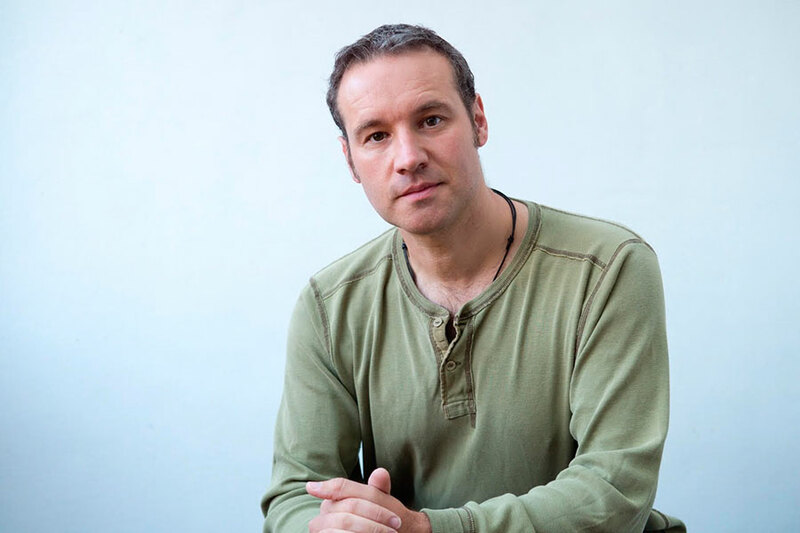 After a career in music as a singer/songwriter Robert Barker visited the RHS Chelsea Flower Show and instantly fell in love with garden design and right there and then knew that he wanted to change the direction of his life and career. Robert went on to study with the RHS, Royal Botanic Gardens Kew and Garden Design and Planting Design at Capel Manor College. Robert was recently awarded the prestigious gold medal award for his first show garden at the 2016 RHS Hampton Court Palace Flower Show. Robert Barker Garden and Landscape Design was created to bring together his passion for plants, people, nature, a love for modern architecture and an understanding of how a garden design can work in harmony with its environment to create a timeless landscape. 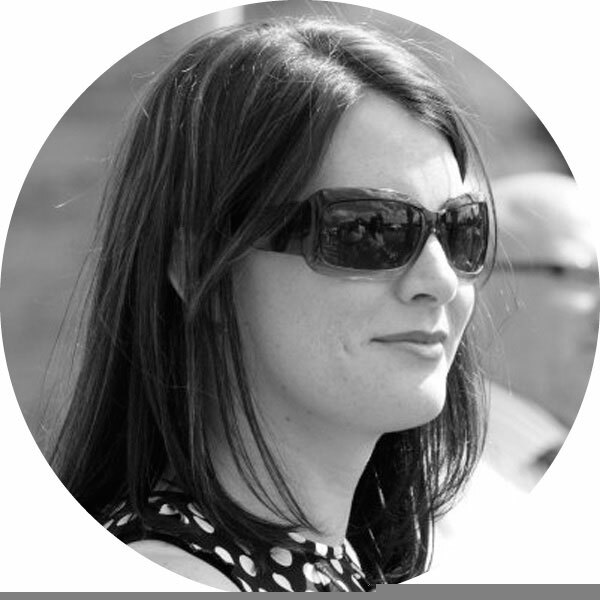 Emma Sheppard is a graphic designer with over 10 years experience. She’s spent most of her professional career working in design studios and agencies, but decided to give up the day job to go freelance after having her first child, for better work life balance. 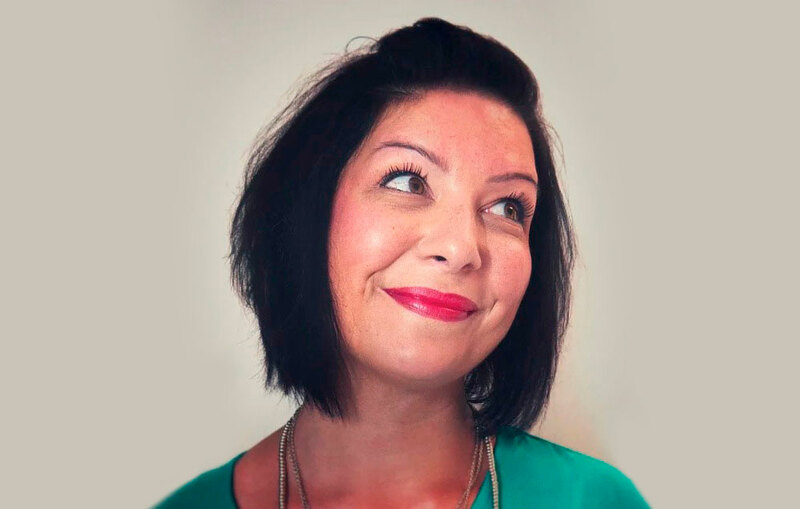 As a powerhouse print designer, Emma is very experienced in magazine and editorial design, and has worked on everything from luxury property and lifestyle titles, to fashion and beauty magazines. She is lucky enough to have worked on a wide variety of projects through her agency work, with big name brands as well as exciting startups and small businesses. She has a passion for typography and logo design, and a great eye for detail, making sure everything is just right. Emma recently started Big Bear Creative – a small agency of talented freelancers which specialises in design and branding for new and small businesses. Melissa Webb is a photographer hailing from the United States, though she has lived in St Neots for thirteen years. Her passion for taking photos started when she was a teenager, when she stumbled upon her father’s camera collection. It’s been a way of life ever since. Melissa worked and had her own business for six years as a portrait and lifestyle photographer, and was featured in publications such as Lucky, JPG and Digital Photographer. Currently Melissa is focusing on personal projects which involve film and instant photography. Andy Heather is a UK-based illustrator who specialises in editorial, visual development and storyboarding. He worked for seven years in Japan and has always been influenced by its culture and art. Nowadays he’s back in the UK and happy to be creating art for clients including Bauer Media Group, Solid Labs, Digital Photo magazine and several awesome indie game studios. His work involves digital painting as well as vector art, a few examples of which can be seen over on his portfolio. He believes that good illustration is about storytelling. If you love to tell great stories and need an artist who’ll help you do that, he encourages you to get in touch. 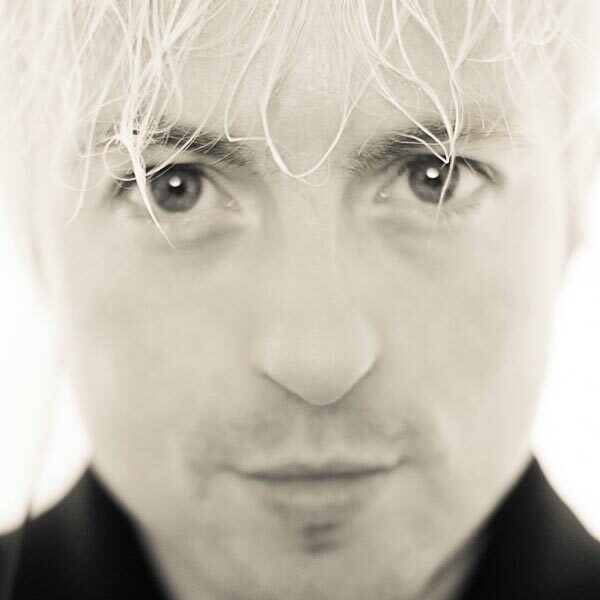 Adrian Storey aka Uchujin (Alien in Japanese) is a freelance video producer, cameraman, editor, photographer and a recovering ex-pat who recently returned to the UK after a 20 year absence, the last 10 of which were spent in Tokyo. An eclectic career ranging from fashion modelling to working as a sound engineer for the Dali Lama informs and enriches his work which ranges from documentary to music videos. 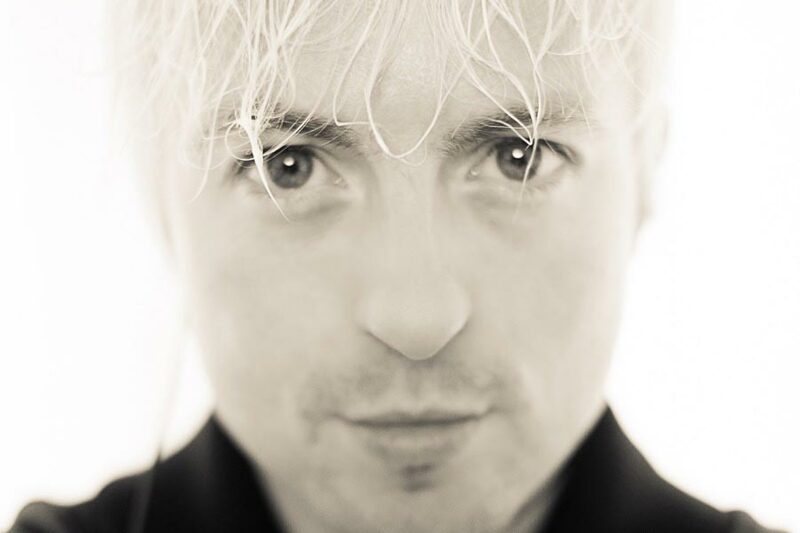 Adrian has over 20 years experience, has produced video and shot for a large range of international clients including VICE Japan, Greenpeace and Cascade Records and his photographs have been published in The Guardian, La Revue, Jyllands Posten, Der Spiegel, South China Morning Post and The Japan Times amongst others. He is available for projects of any size and can be contacted through his website or on multiple social media platforms where he spends a little too much of his time. 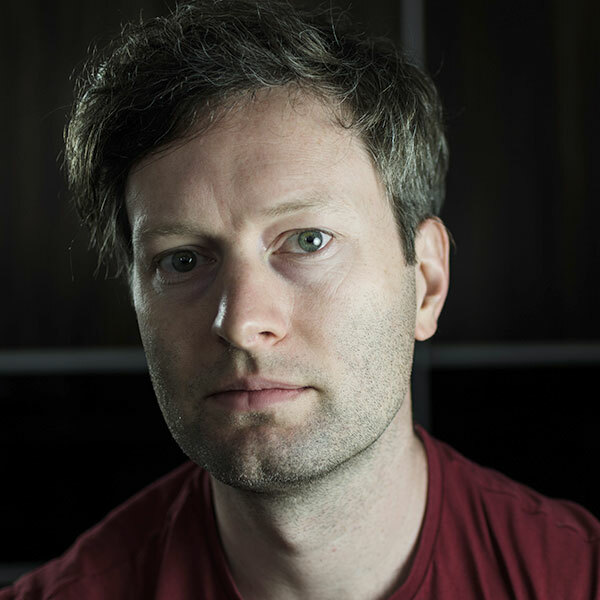 Louis James-Parker is a freelance videographer and filmmaker with over 10 years of experience. Louis creates cinematic films, promotional videos and documentaries for a wide range of clients including corporate, TV, web and production companies. Louis has always had a passion for film and photography from a very young age. He went on to study photography at the Cambridge School of Art and he now offers his services all over the UK. Louis is very passionate and dedicated to his craft and through visual storytelling, he hope’s to cater to each client’s unique needs to deliver exceptional visual content. Some of his clients include Redbull, University of Cambridge, Goldfinch Pianos, Spotify, Barenbrug UK, and Kogan Page. One of Louis’ videos got GoPro video of the day fetching over 50,000 views in a matter of days. Oliver Winconek was born in Bedford, England. Having chosen to not go down the route of formal Art education; he is primarily self taught. His work is always based around people, cities or a combination of both. Over the years Oliver’s work has continuously evolved ranging from bold, graphical cityscapes, pen and ink drawings and Oil painted portraits. He prefers to let his working style be semi dictated by the subject matter that he is portraying, this allows him to have an organic method towards his work that keeps things interesting for both the Artist and the viewer. Oliver has exhibited all over the world including the Saatchi gallery and his work is held in many private collections. 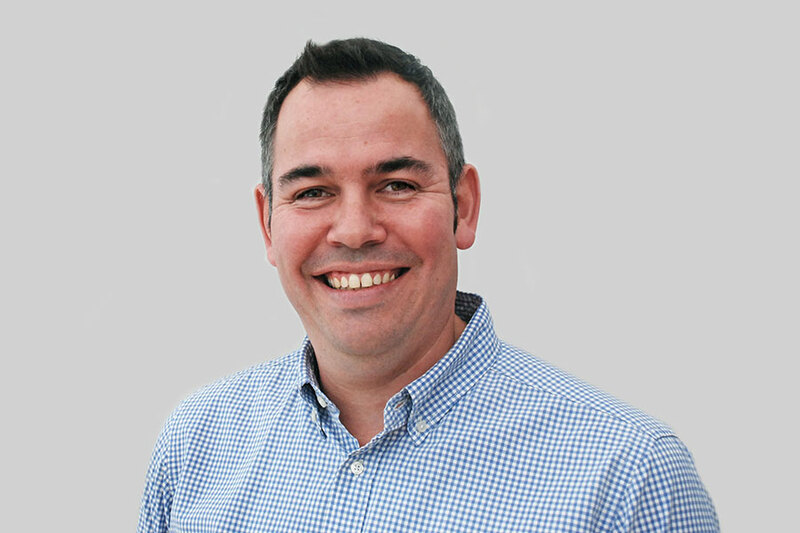 Steve Todd has over 15 years experience as a creative within the public, charity and private sectors and has produced design for well known companies both nationally and internationally. 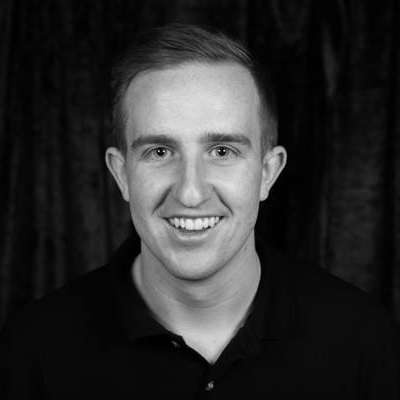 He currently works as a creative and social media officer for government campaigns but has a huge amount of experience in print based design and a specialist knowledge in security artwork generation. He has a real love of marketing and likes nothing more than creating branding packages for new companies or campaigns. Steve has a secret geeky passion for fonts, he’s a musician by night and is fanatic about coffee and beer. 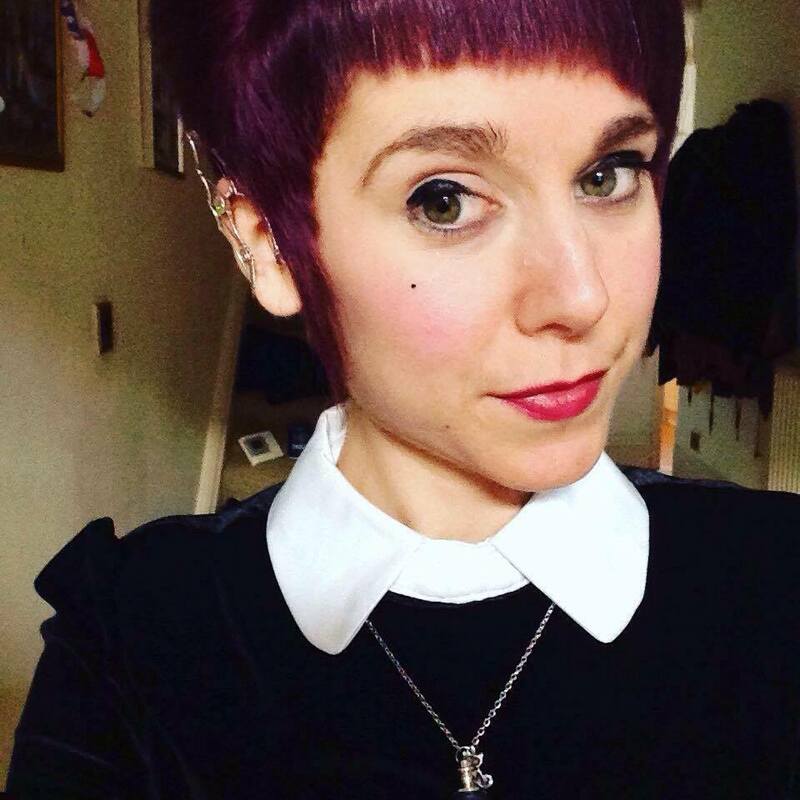 Nicola Westgarth-Flynn is part of the St Neots based duo that formed Koti Studio in 2014. The creative design studio specialises in industrial design within the homewares sector. The studio has a growing portfolio of work, with high profile brands such as; Lakeland, Joseph Joseph and Joules. 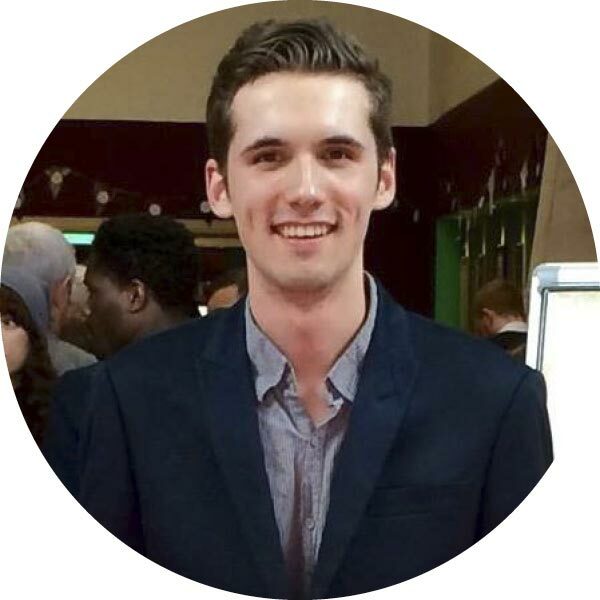 Nic gained valuable product design experience working for Pearson Lloyd, Cambridge Consultants and TTP. She also freelanced for Charlie Oulten and Team Consulting. Her strengths lie in initial concepting, brainstorming ideas, and ensuring the products remain realistic, practical and manufacturable. You can view more of Koti Studio’s work on their website and blog. Kathryn Harris is part of the St Neots based duo that formed Koti Studio in 2014. The creative design studio specialises in industrial design within the homewares sector. The studio has a growing portfolio of work, with high profile brands such as; Lakeland, Joseph Joseph and Joules. 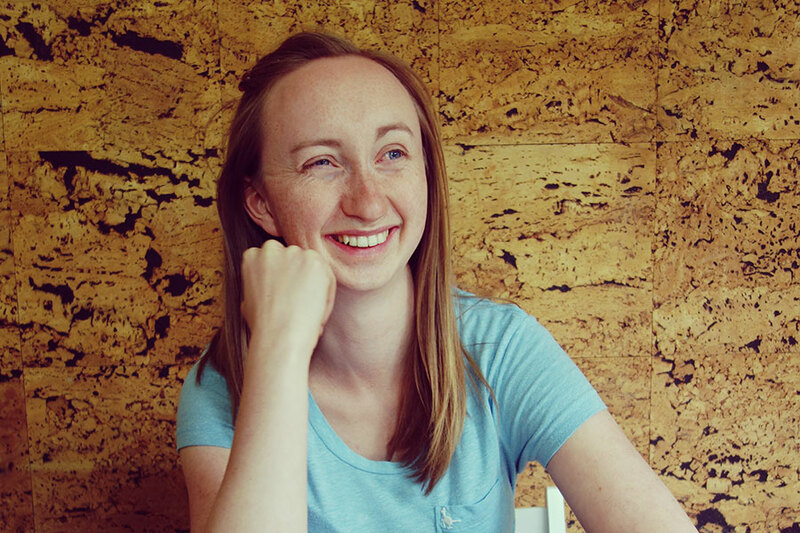 Kathryn developed her design expertise working in China for one year as a lighting designer and freelancing for John Lewis, Plumen and Charlie Oulten. Her strengths lie in sketching, styling, renders and overall presentation of products and projects. Massimo Imbastari is an accomplished, dedicated and highly respected graphic designer with a career spanning more than twenty years with specialised expertise in front end web designer, video and the social networks. He has excellent interpersonal and team work skills and the ability to communicate professionally with a range of individuals. Able to work independently and as part of a productive team, demonstrating initiative, motivation and multi-tasking abilities required to meet deadlines. 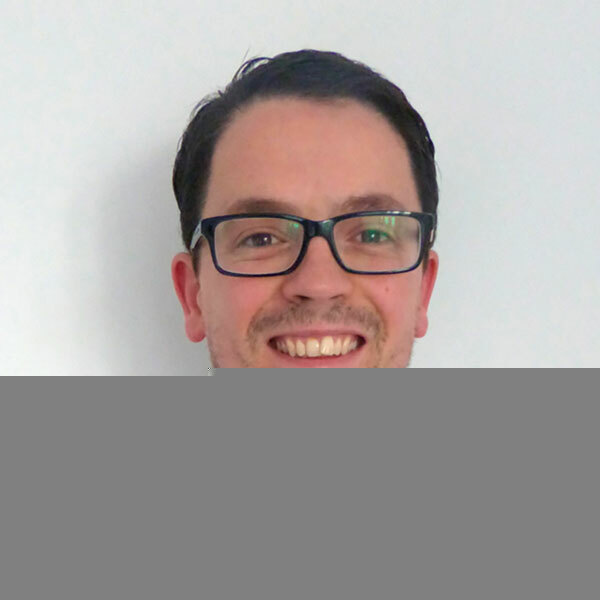 Massimo is skilled in solving complex technical problems and specialises in the management and development of client relationships, identifying specific requirements and delivering value-adding solutions accordingly. 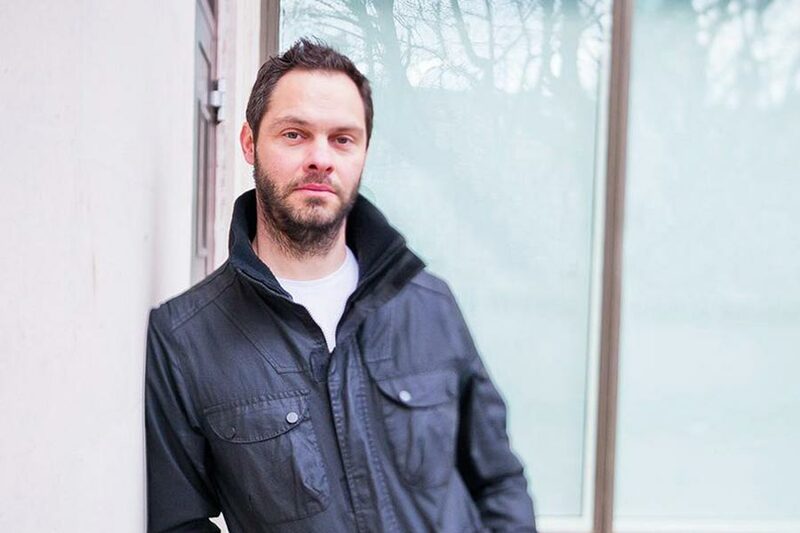 Stephen Molyneaux started his career in the games industry before moving into cinema. He is now a visual affects artist in London, working on major feature films like Harry Potter and the Deathly Hallows, Prometheus, Guardians of the Galaxy, X-Men and the upcoming Disney’s Jungle Book. Stephen excels at character creation and visual development and is an accomplished artist both digitally and traditionally. Stephen studied under world renowned artists Steve Huston, Jeffrey Watts and Henry Yan and has work published for both digital and traditional work. You can view more of his work on his website or blog. 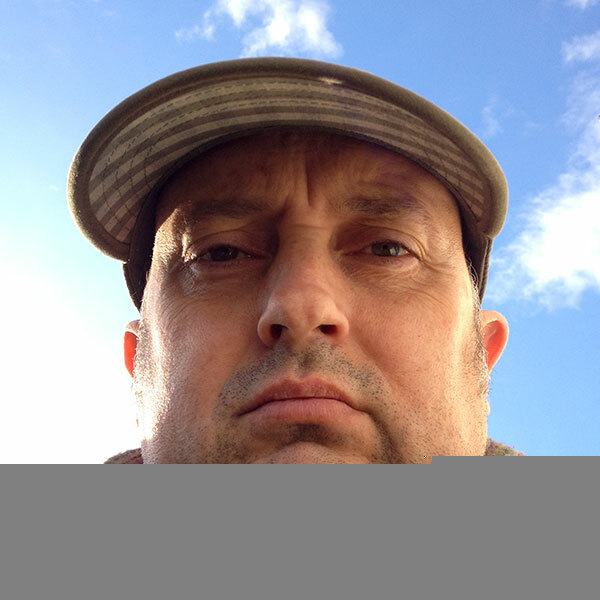 Dave Fleet is a field recordist, electronic musician and photographer in so much as that he can point a camera at something that catches his eye in the same way as he point’s a microphone at something that catches his ear. 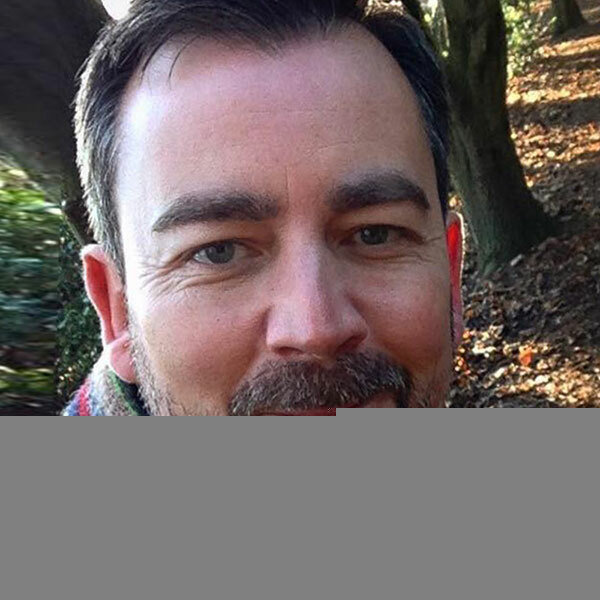 Mike Garrick Green has been helping people for over 18 years achieve by developing intuitive software and business websites. 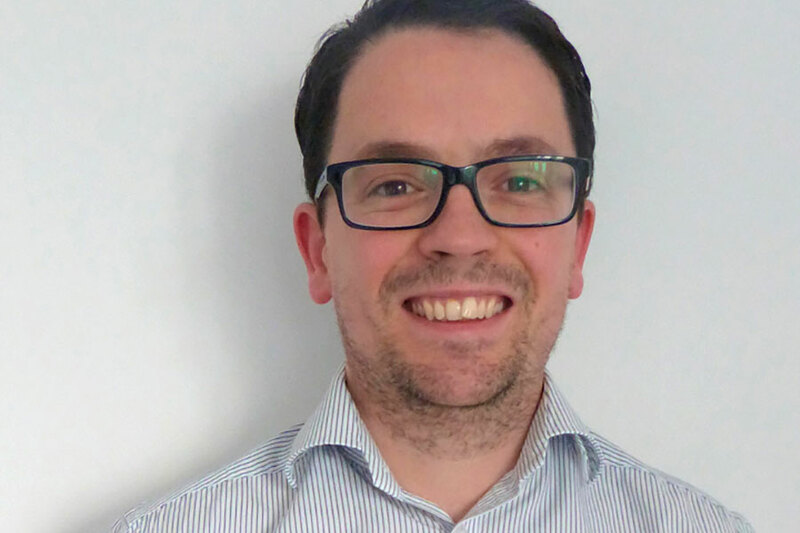 Mike engages with people to solve common business challenges, identifying issues and seeking to improve efficiency through the improvement of business’ IT systems and processes, improving the everyday experience at work and in life. 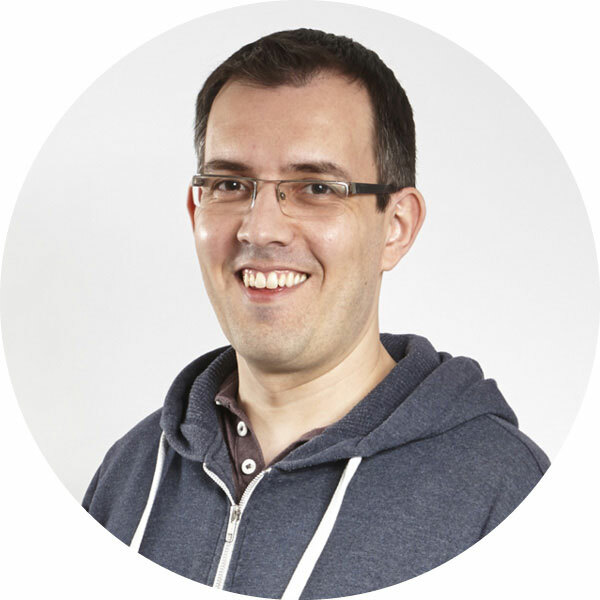 As managing director of Ouse Creative Ltd, Mike and his team increase efficiency through process improvement, contribution and professional expertise while developing intuitive software and websites that give a ‘a great experience’ for people every day. Ouse Creative engage with people to deliver appropriate and intuitive online software, systems and websites that work seamlessly with other software to deliver growth, savings and efficiency – helping you and your team achieve. 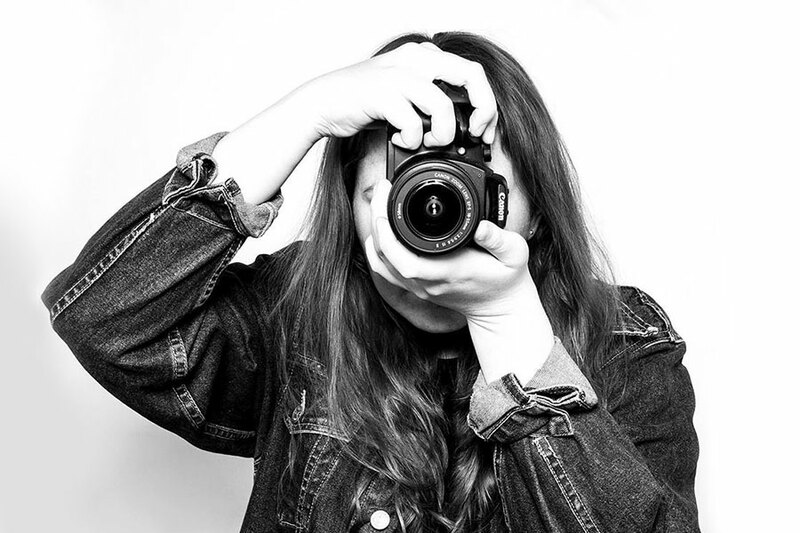 Sammi Sparke has been working for seven years as a portrait photographer after making the decision to return to university to ensure she knew enough about the photography industry to take her hobby of photography to a functioning business. She graduated from University, Blackpool and the Fylde photography school with a 1st class honours degree and moved to Sheffield where she set up her business. 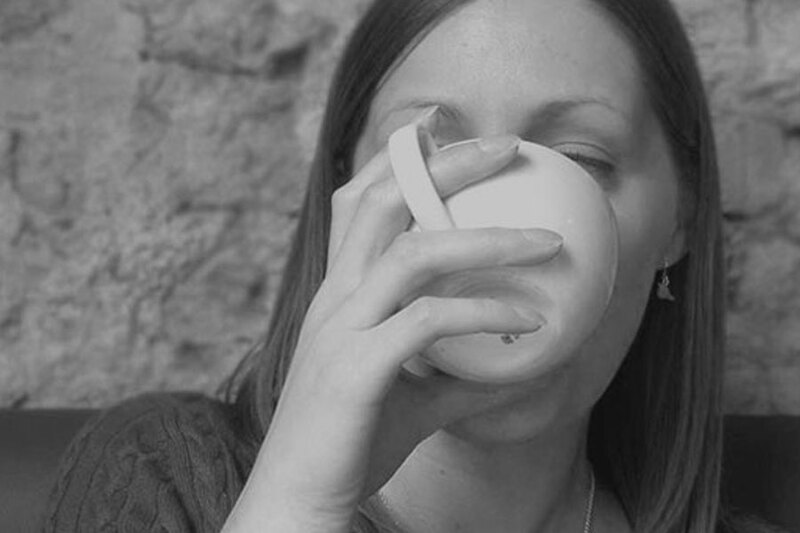 Sammi Sparke Photography is split between family/wedding and corporate/business photography. Her family work is inspired by nostalgia and the desire to capture beautiful, honest, relaxed photos of babies and children at home. Sammi’s first History of Art based degree has greatly inspired both the family and corporate photography side of things. 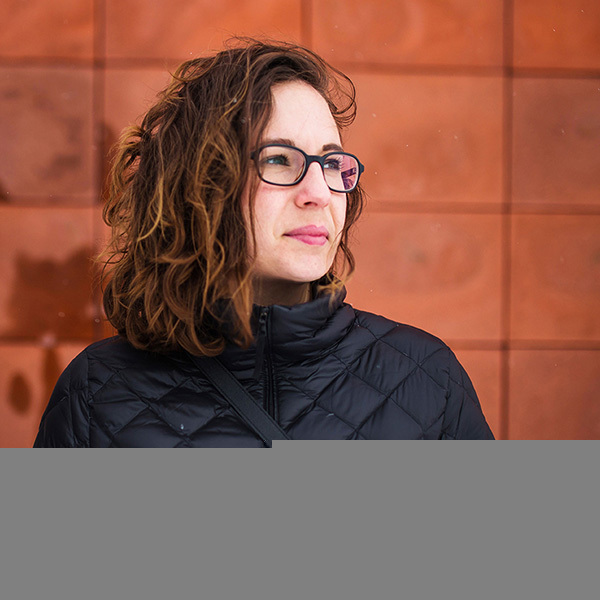 More specifically her knowledge of semiotics and how audiences read and interpret images has lead Sammi to work successfully with small businesses for the last two years. Sammi employs her understanding of semiotics to create powerful corporate headshots for clients designed to help them stand out from their competitors. Sammi has been commended in the LPA awards, has had work exhibited in Blackpool, Manchester and London and was recently featured in Marie Claire Magazine. Angie Moyes believes design makes a difference, not just as visual communication, but to the bottom line. She loves her job because she gets to meet people with passion and purpose – and that’s infectious. 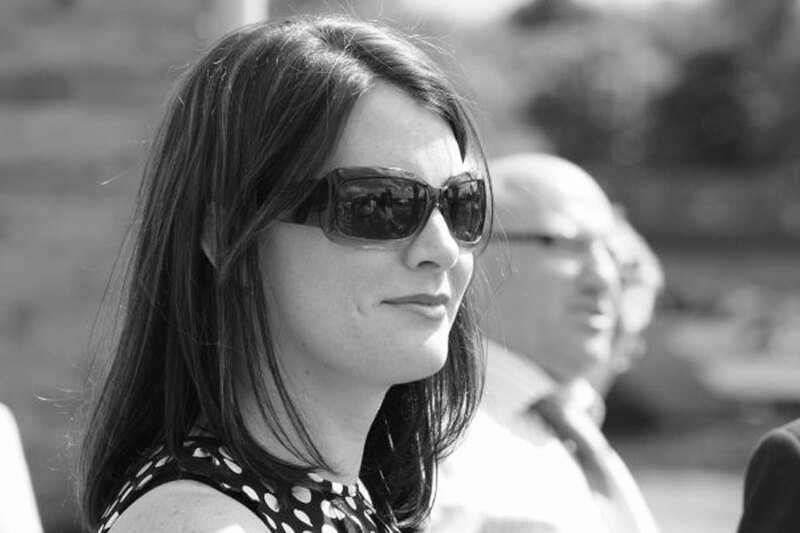 With over 20 years’ experience and projects covering a diverse range of sectors, including education, entrepreneurs and start-ups to blue chip corporate – consumer to academia, science and the arts, Angie has been lucky to meet a lot of brilliant people in fantastic companies. 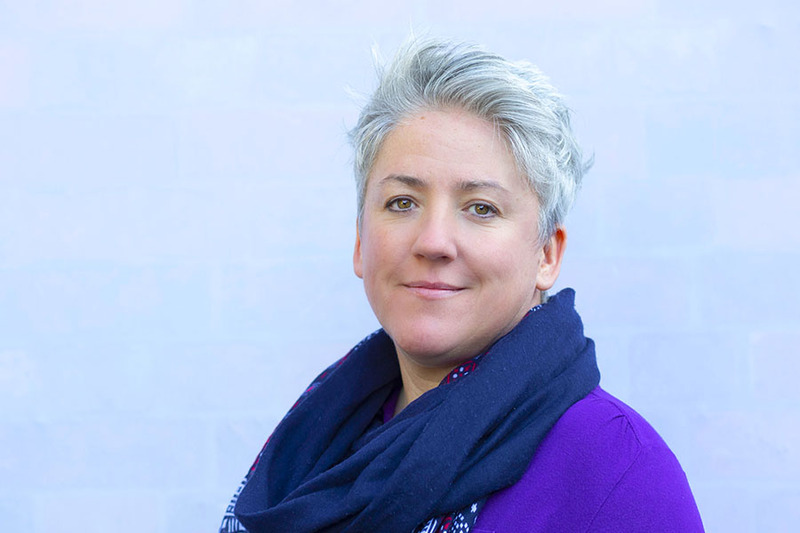 Angie Moyes has worked with clients such as Abcam, Blighter, Baker Hughes, BP, The Biochemical Society, Cyrus Audio, The Gurdon Institute, Grant Instruments, International SOS, One Paper Buildings (now Drystone), Portland Press, Socia and Widget. 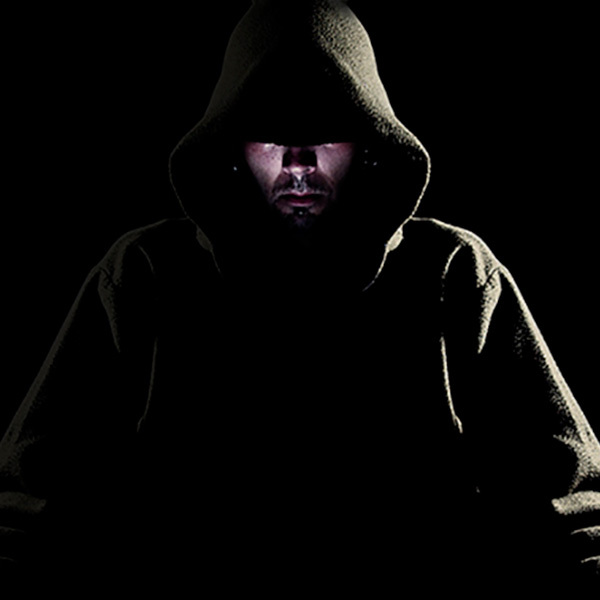 With a network of associates – such as writers, editors, developers – projects can be large or small. 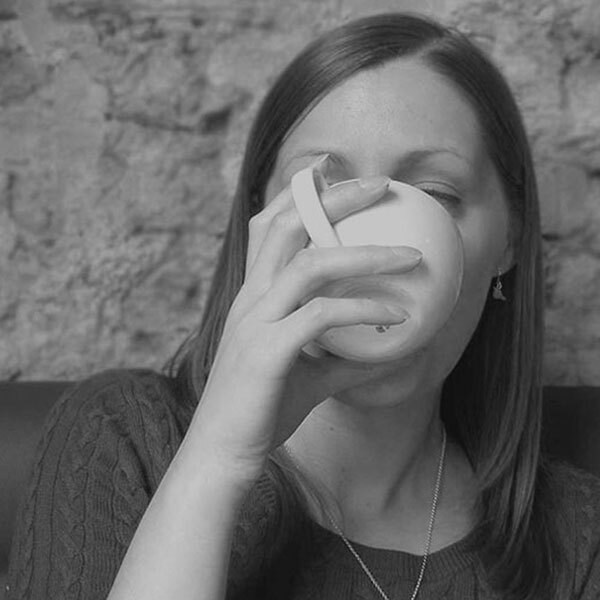 She loves all the areas of design and has been lucky enough to work in: logo design, information design for technical documents and websites as information architecture – or UX/UI as it’s also known, journal and book design, web site design, campaign design (for products, ads or internal comms). She relishes that by using her design skills she is able to make a difference to a clients product or service, by making it better understood and more attractive to their clients and customers. To make her clients ‘look good’ in the face of competition. 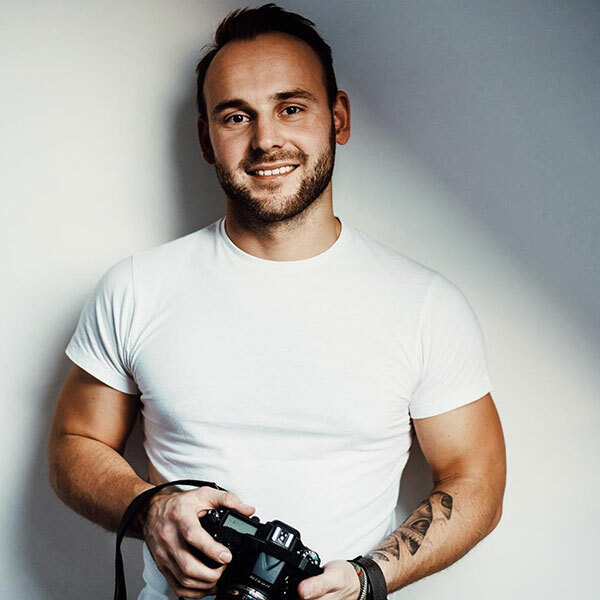 Maciek Platek is creating a name for himself in the local area as young and upcoming food and interior photographer. 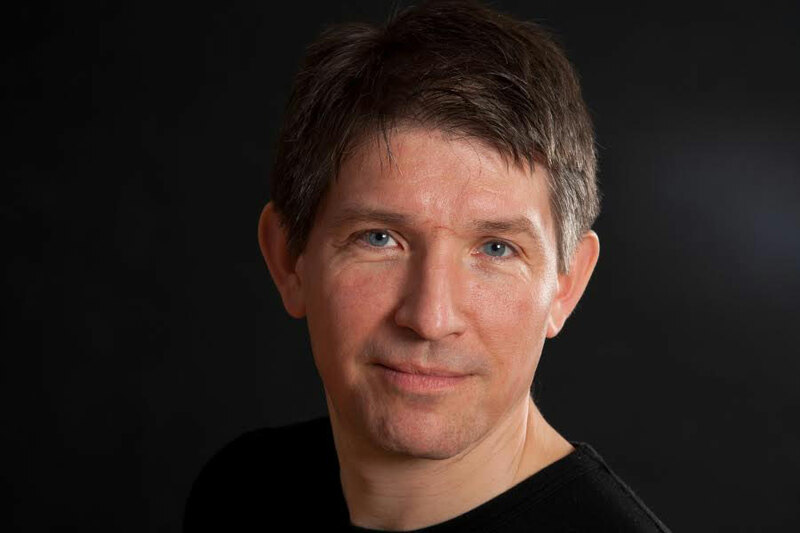 He has several large commissions with well established companies including Wyboston Lakes and La Maison Chic successfully promoting their businesses through his photography. His passion is not only for food and interior photography, but also for architecture, examples of which can be seen in his portfolio. Maciek is actively seeking new commissions and will be more than happy to discuss any photographic requirements. Ross Millership has spent 10 years mixing a wide range of broadcast TV in stereo and 5.1 spending the last six years at the award winning post facility ENVY. He’s mixed series such as the BAFTA winning Grand Designs, The Undateables, Tattoo Fixers, Drunk History, Heston’s Great British Food and the multi award winning Wild Things. Ross has also mixed numerous documentaries such as the BAFTA winning Graffiti Wars, American Animal Hoarder, Extreme Brat Camp and Christian Louboutin: The World’s Most Expensive Shoes. He’s also had the pleasure of mixing a feature football mockumentary United We Fall which enjoyed a nationwide theatrical release. 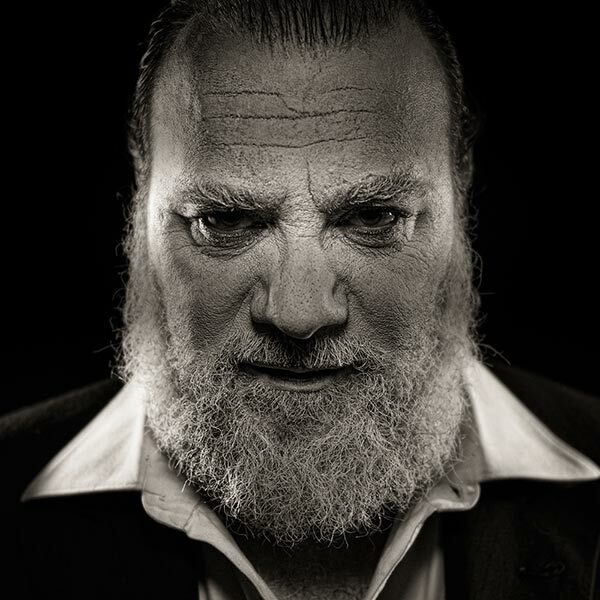 He spends most of his time mixing but love’s getting his teeth into sound design, working most enjoyably on Strip The Cosmos and Rise of the Machines where he conceptualised, supervised and mixed the sound design into the 14 diverse episodes, each with roughly 25 minutes of complex 3D CGI needing sound design. 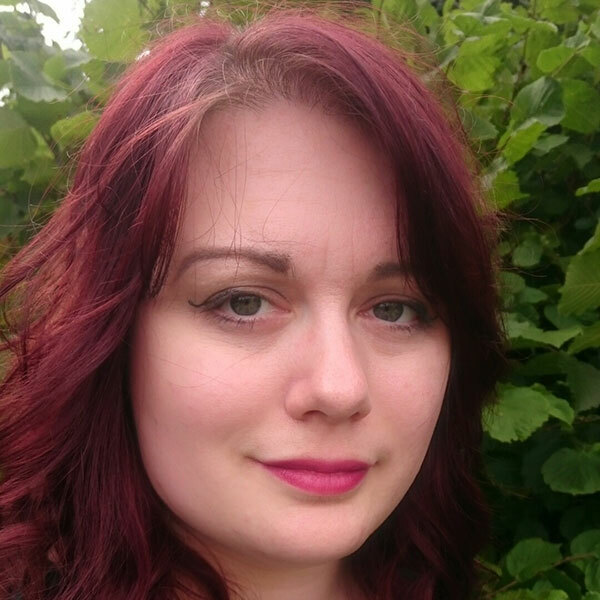 Cecilia Corderio is a theatre practitioner and writer, having recently graduated from the Royal Central School of Speech and Drama with an MA in applied theatre and her aim is to develop a practice in St Neots and the Cambridgeshire area. 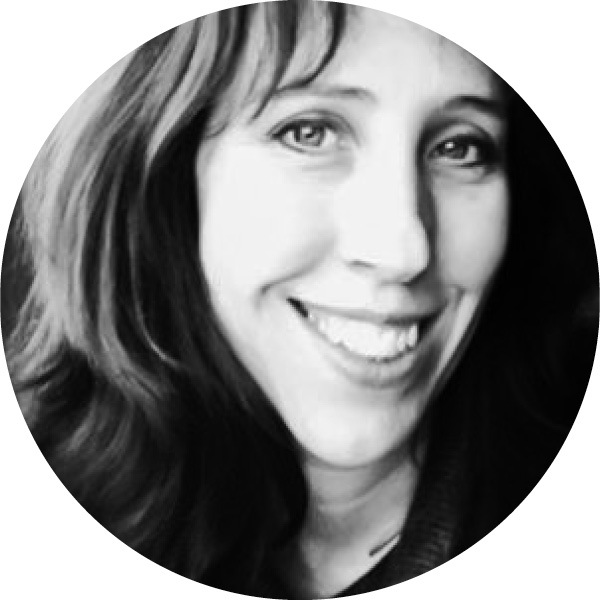 Cecilia has been a writer for many years but has recently been working on plays and fiction with a view to publishing and selling her work. Cecilia is currently on the board of directors of MGR Films, an independent film production company based in London, where she actively participates in project development and sourcing screenplays for the company. Her previous career was in political and institutional communications, mainly in Argentina, Nicaragua, Honduras and El Salvador. 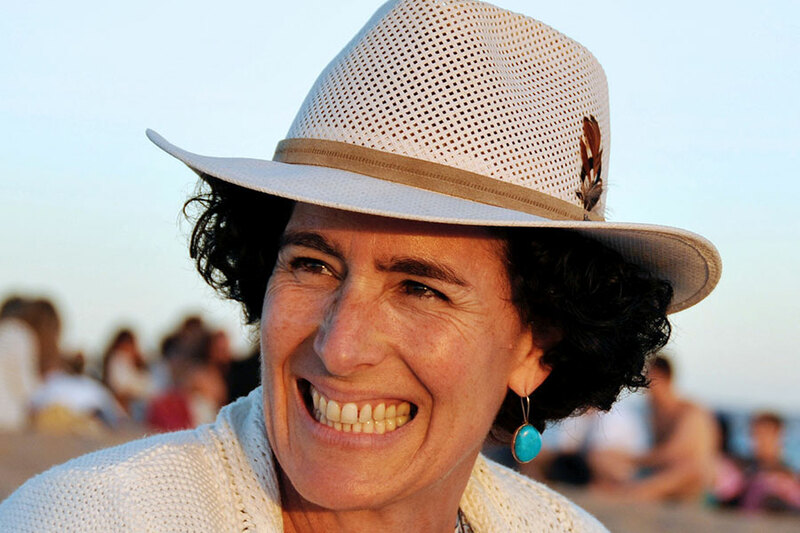 She has extensive experience in the non-profit sector, having co-founded and managed a non-partisan NGO dedicated to improving the quality of political leadership in Argentina. 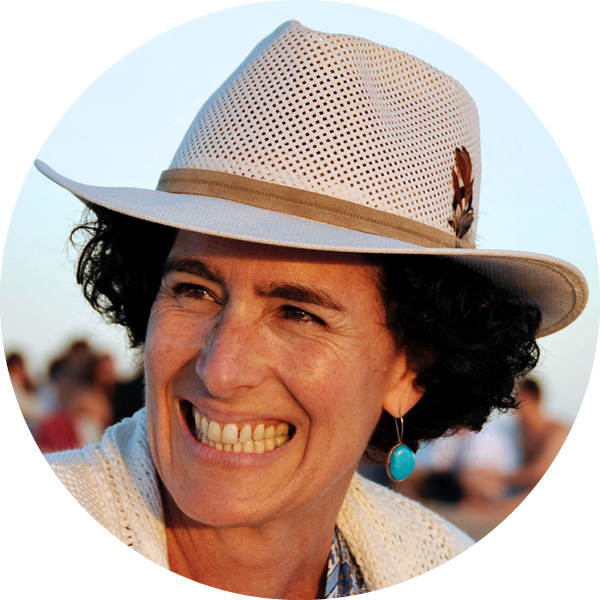 Cecilia has an MA in history and MPhil in Latin american studies, both from Cambridge University and a postgraduate degree in Medieval Jewish history from Oxford University. 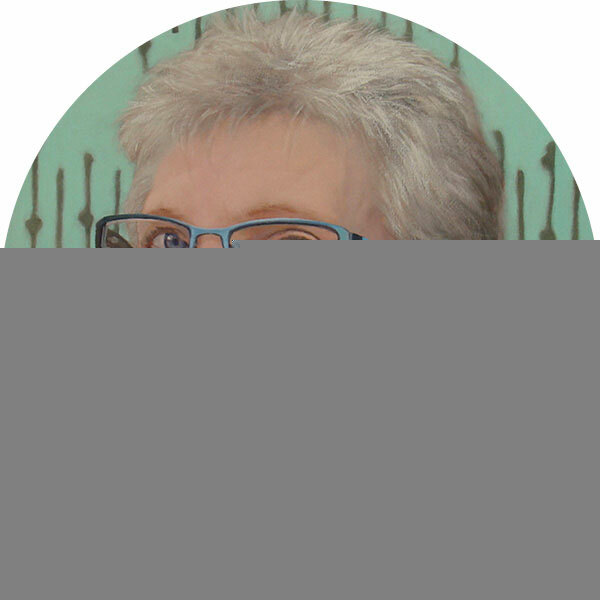 Maria Merridan is a Bedfordshire-based artist and printmaker and part-time lecturer in art and design. Her work is about creating unusual relationships between personal experiences and the following themes: science, natural history, navigation, weather and journeys. Awarded The Peoples Award in 2015 for an artwork titled ‘Making Materials Come Alive’ – a large, mixed-media composition produced for Cambridge’s Pint of Science Festival in collaboration with group leader at the Department of Materials Science and Metallurgy at Cambridge University, Dr Stoyan Smoukov. Maria’s work was recently selected by the Circus of Illustration to exhibit in their Love Conquers All Exhibition and in 2015, was selected for Summer Exhibitions at Courtyard Art Gallery, Hertford and The Babylon Gallery, Ely. 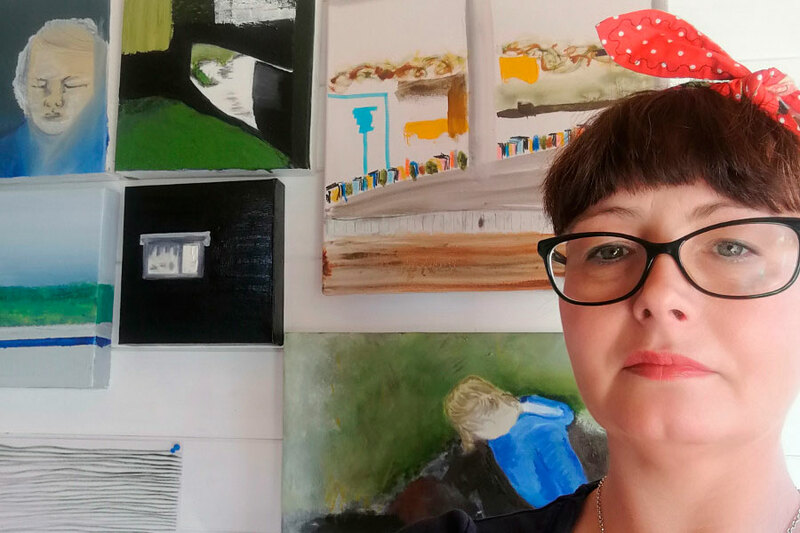 She has also exhibited with the arts collective Mark 5 at the Michael Heseltine Gallery in Oxford and Courtyard Art Gallery in Hertford. 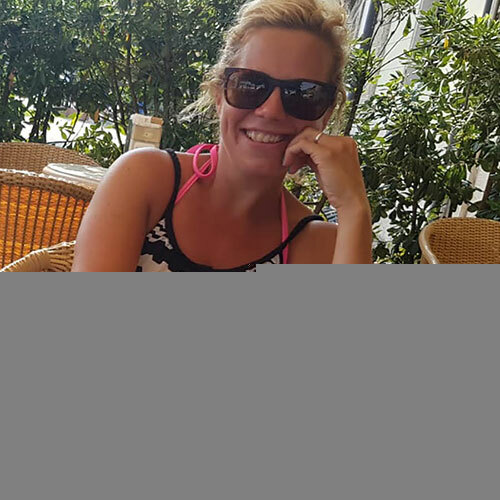 After graduation, she began her career in educational publishing before joining a specialist consultancy responsible for producing educational resources for a range of clients. A new adventure took her over to Sydney, Australia where she primarily worked for a global asset management company, in a purely online role. 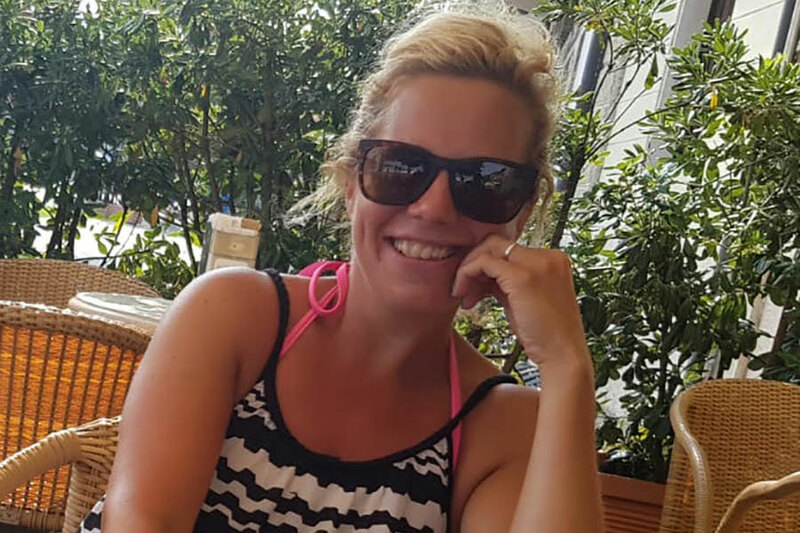 Returning to the UK she joined a specialty insurer and reinsurer in an online communications role. She has had a love of all things online for her whole career. 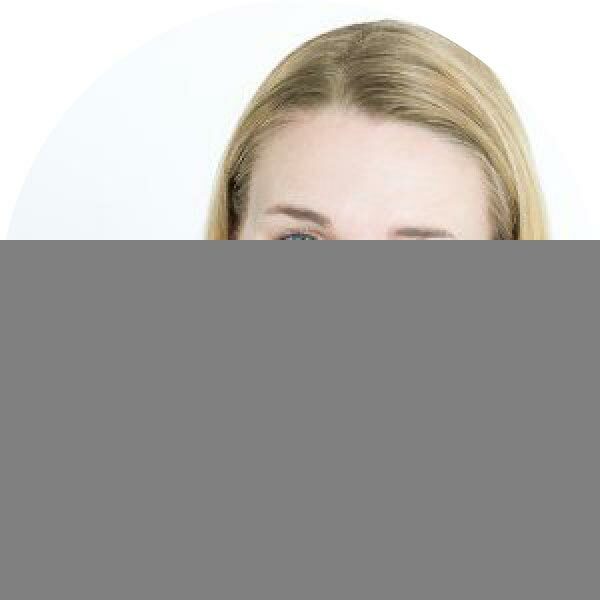 She prides herself in being able to get her head around the techy stuff, and loves the challenge of being able to translate it into easy-to-understand business solutions. She also believes that the foundations that she learnt in print and offline publishing enables her to truly get to grips with the whole marketing and communications journey. Mitchell Harris is a film editor by day and night with a passion for editing that can be seen across his portfolio, which shows a journey from editing short, somewhat crazy films with friends, to working for clients such as 10 Downing Street and more recently his first feature film – Art Ache, which premiered December 2015 at the Bahamas International Film Festival. 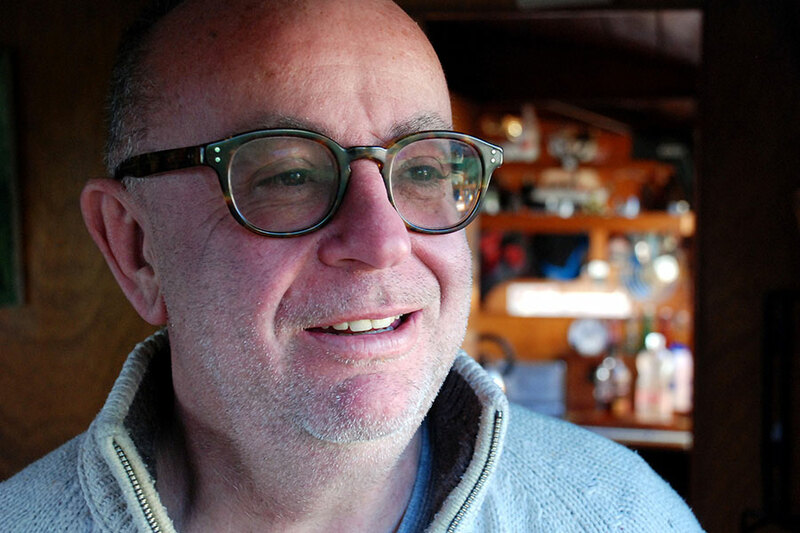 Mitchell, collaborating with Carla Steinberg, picked up his first film award at the Living British Film Festival 2014 for Word on the Water a short documentary about London’s stunning book barge. 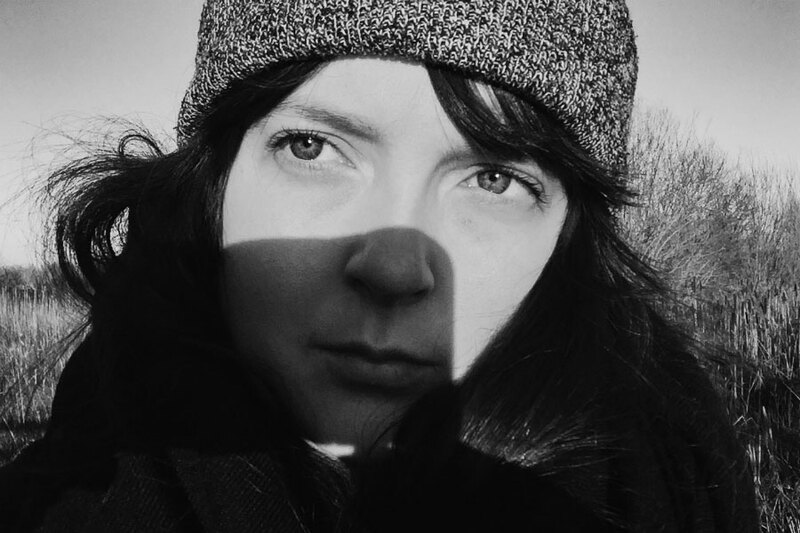 More recently, Mitchell’s work has been selected by the British Film Institute Love Shorts in collaboration with the Cornwall Film Festival and HyneSight Films – Silentville (2015). 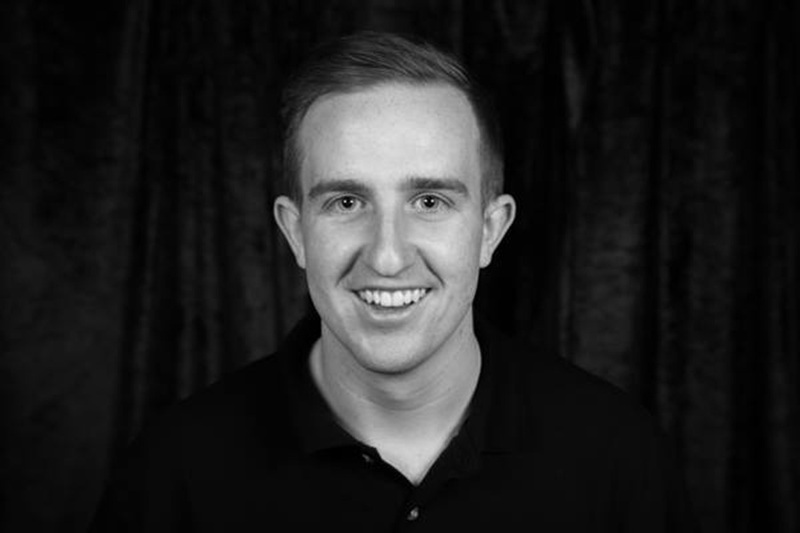 Mitchell now works primarily as a freelance film editor based in London, but also consults and provides editing + social media training (and does the odd voiceover). 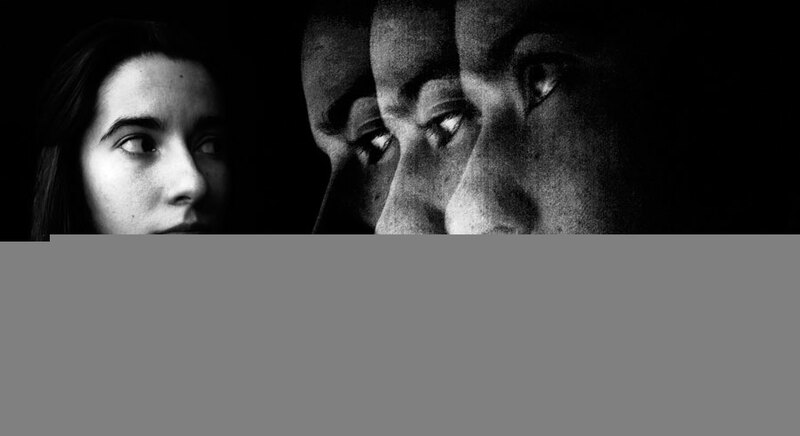 Almost complete is his second feature film, Asphodel with a third in pre-production. 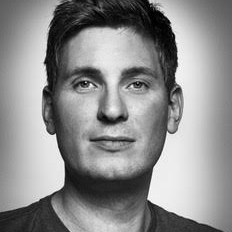 His international client base includes St Neots own Pix and Mix, Queen Mary, University of London and HyneSight Films. Alice Hunter’s journey to become a wildlife photographer was born out of a passion for the natural world that began at an early age. Encouraged by family members, she developed an understanding of the wildlife and flora around her which enables her to capture the intimate details of her subjects. 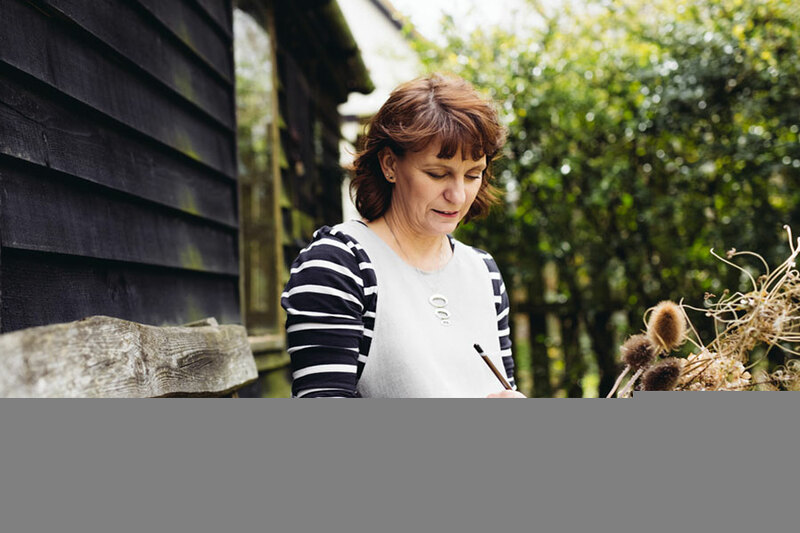 In addition to the wildlife that she loves, Alice also photographs landscapes from time to time and takes commissions for a wide range of subjects including pet portraits. She sells her images online as well as in a variety of local outlets. 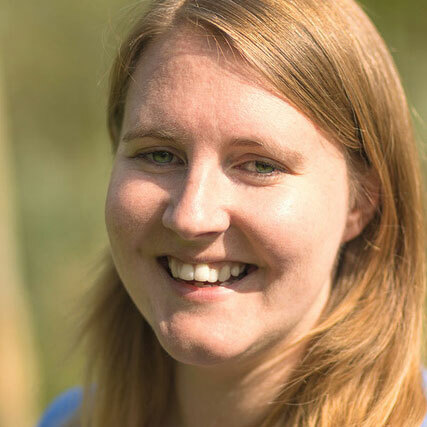 Alice contributes to the Wildscreen Exchange initiative to help conservation charities raise awareness of their causes and enjoys working alongside the Wildlife Trusts both as a photographer and writer. She also co-leads photographic and wildlife watching tours with Greentours, The Travelling Naturalist and Greenwings, and writes about her experiences on her blog. In her spare time she volunteers with the RSPB to organise indoor meetings and talks for the Huntingdonshire Local Group. 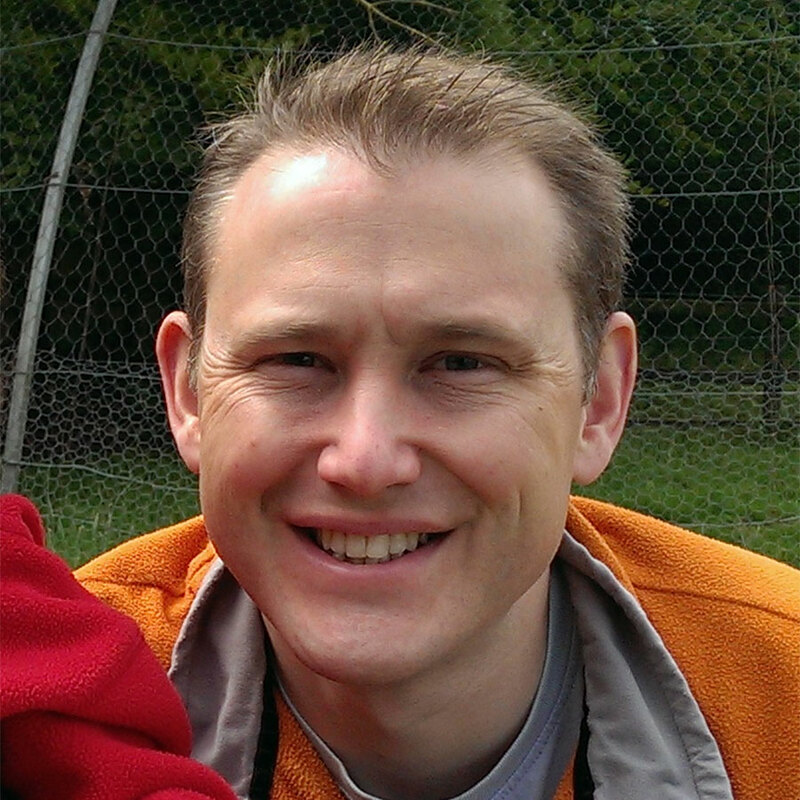 Andrew Poodle’s background is in online infrastructure and web application development and he has spent much of his career as a specialist in MySQL databases. 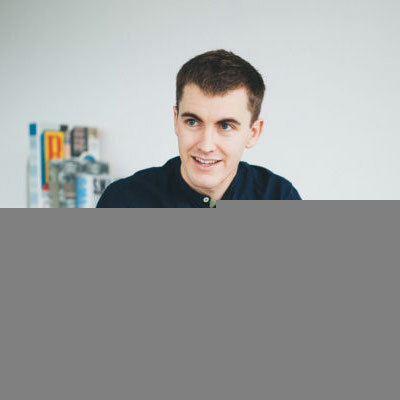 Andrew is now more interested and involved in online business development and online strategy than being a hands-on techie, but his technical background serves him well in understanding what’s feasible and practical. 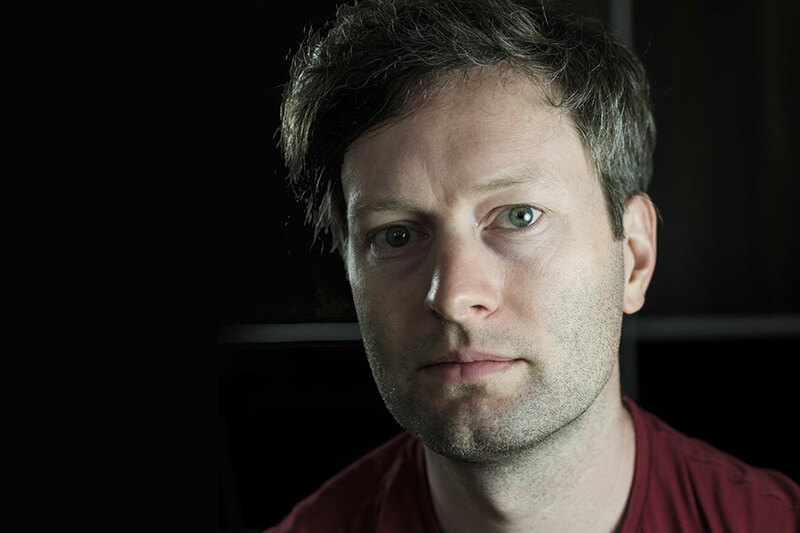 Matt Stevenson has over eight years of photographic and CGI image making experience. Specialising in imagery for automotive, aviation, sports, fashion and fast-moving consumer goods (FMCG) as well as extensive experience in motion graphic design and animation. 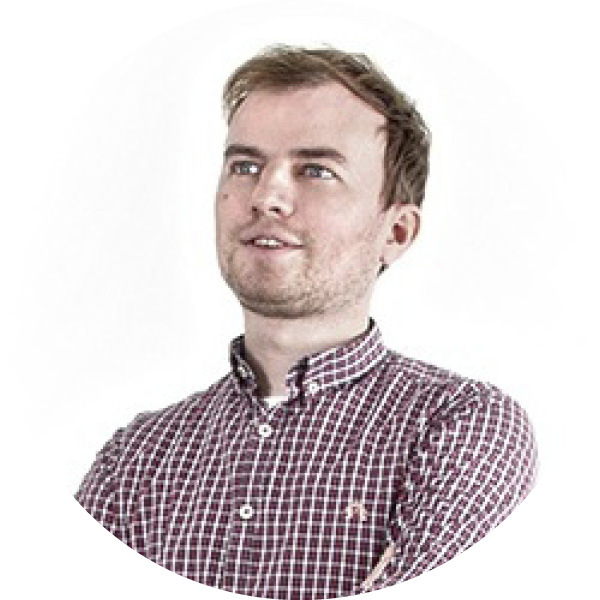 Matt regularly accepts freelance work and is currently working with a dedicated team of designers, artworkers and art directors on multi-brand contracts, encompassing creative retouching, motion graphics and 3D design. Marc Bax runs two businesses through Panchromos Limited. He undertakes product design and development projects for and with clients. 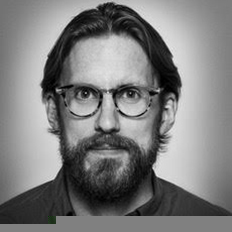 His design philosophy is that looks and style take a backseat to function, user experience, and manufacturability. 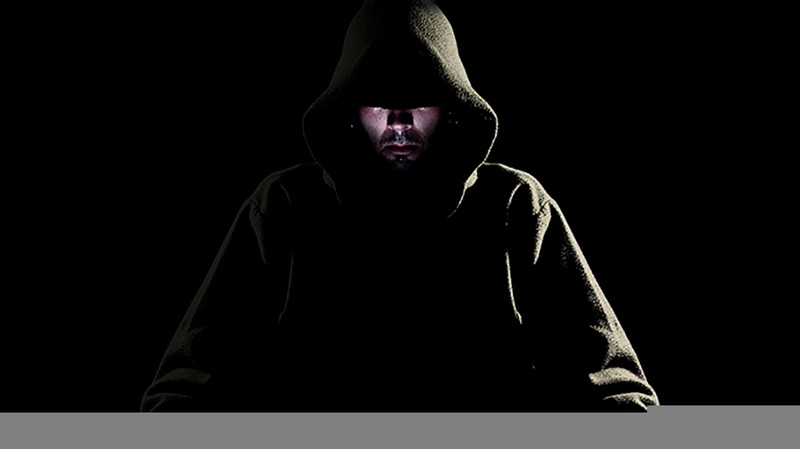 His portfolio includes medical devices, laboratory instruments and security/defense detection systems. 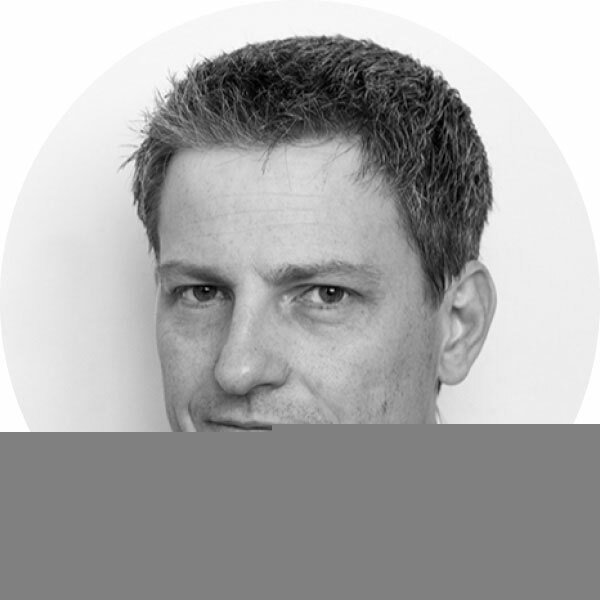 Marc also runs the UK office of Bax and Willems Consulting Venturing where he occupies himself with European Commission innovation programs – somewhat less creative. Prior to setting up his own businesses Marc was active both in product design and development, and in sales and marketing. He is also a fanatic archer still hunting for that so far elusive six-gold-end at 100 yards. 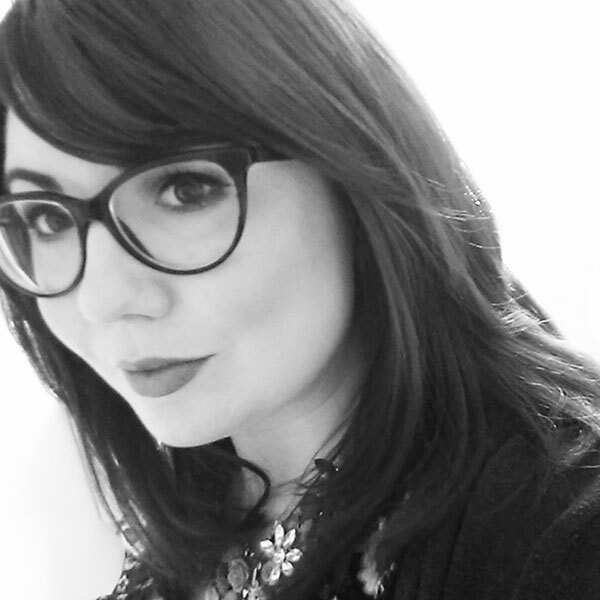 Jennifer Nesbitt graduated in 2007 with a BA in Graphic Arts & Design, followed by an MA in Contemporary Art Theory from Goldsmiths in 2012 and is currently a graphic designer working in London on both print and web, with a particular interest in illustration and animation. With an essence of light heartedness at times in her work, Jennifer finds it important (if possible) to incorporate the need to create a smile, even if it’s small. The problem is not there to just solve, but to enhance. Remove the self for a split second in time – catch a moment of innocence and core pleasure. 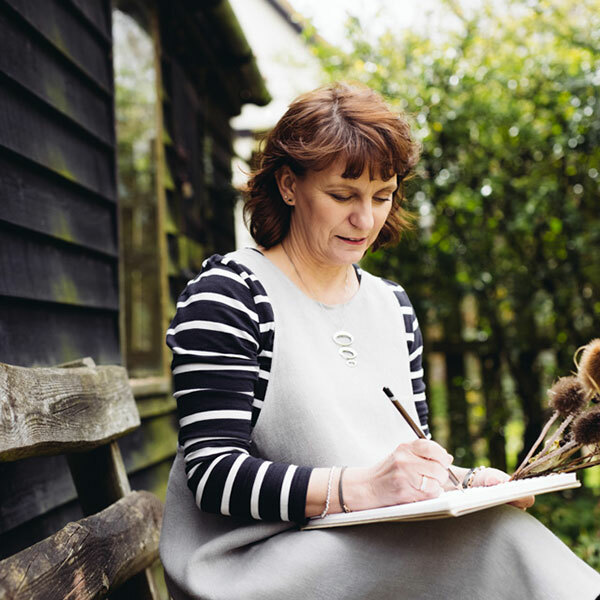 Hilary Murfin grew up on a Bedfordshire farm and, by a long and circuitous route, in the 1980s attained a degree in textile design at Loughborough. Hilary spent 20 years as a freelance designer of furnishing fabrics and wallpapers and now makes hand-painted papier mache objects, applying her pattern-making skills to three-dimensional shapes. She fell in love with vintage things before they became really retro-fashionable and still takes inspiration from them, hence the name of her website www.papierretro.co.uk. She recently unearthed some of her 1960s teenage fashion drawings and is introducing them onto her work. 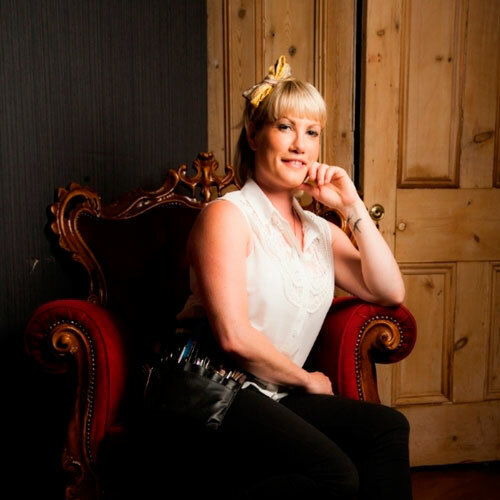 Vicki Holmes, or Vix started her professional career as a trainee clinical photographer in 2003 proving photography, graphic design and printed material to clinicians and went on to graduate with a BSc in Medical Illustration, in November 2007 from Glasgow Caledonia University. Her role as a medical illustrator meant everyday was different and enabled her to develop a variety of different skills ranging from photographing patients either in the studio or in the operating room, through to designing a conference poster or even illustrating a particular technique. But it was whilst working in the hospital where she discovered her love of graphic design especially page layout for patient information leaflets and producing forms and charts. 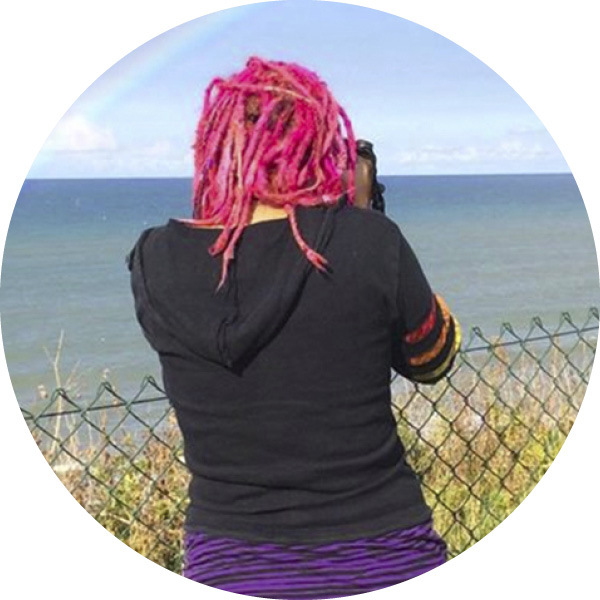 Since leaving the hospital in March 2015, Vix has been busy setting up as a childminder but is currently setting up her own business photograVix focusing on her love of both photography and graphics. Bernadette Vong, or Berna has established herself as a photographer since graduated with a BA in Designs & Interior Design in 2008. Berna has a background worked as a motion capture and facial capture technician for three years in a west London 3D digital facility. 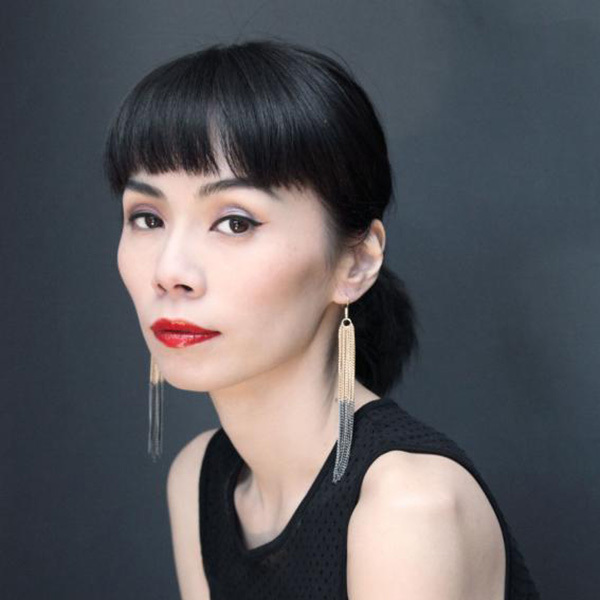 Outside her own photography work, Berna has an extensive work experience in both film, TV and the commercial industry working for the BBC, Vogue, Net-A-Porter, The Observer, Nokia, the prestigious British designer Hussein Chalayan, and on films 47 Ronin, Give It A Year, Skyfall and Shanghai, just to name a few. Since her recent start in photography, she was soon acknowledged with her skills and her eyes for beauty, and has several works published in the UK and Asia. Berna is currently setting up her business focused on product and commercial photography, and in wedding photography is officially opening in January 2016. Her work is heavily inspired by shapes, simplicity, and her personal work embodies the female’s nature in sensuality and emotion complexity. You can see more on Berna’s blog. Jo Mansfield graduated from Lincoln School of Art & Design in 2008 with a first class honours degree in Graphic Design. Since then she has been commuting to London, where she works as a designer and art director. Jo has worked predominantly across fashion, beauty, fragrance and retail sectors and has had the fortune of exposure to a wide variety of projects. The best, or possibly worst, description of Jo’s portfolio to date was ‘random’. She has a keen interest in photography and through her roles in art direction, Jo has been improving her knowledge, understanding and skills. Andrew Foster is qualified in graphic design and illustration and has studied at both Bath and Bedford College. He has loved drawing since he was little and continues to love it now that he’s not so little. He’s currently working as a designer and illustrator at agency Bonfire Creative Intelligence and all the work featured on his website are all personal projects created in his own time. 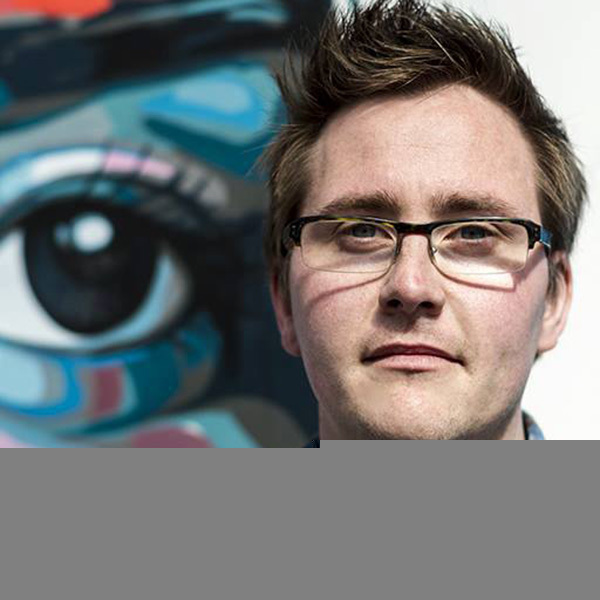 He is proud to be one of the founding members of the Circus of Illustration – a group of professional and amateur illustrators in the Bedfordshire area. 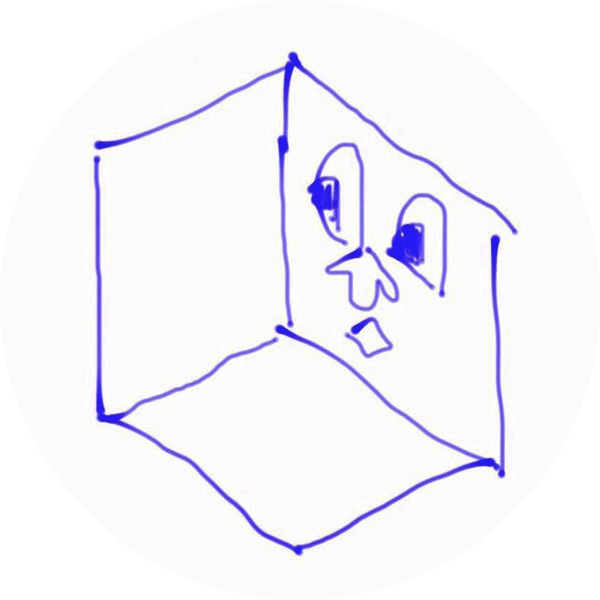 As a group they are dedicated to promoting illustration in all its forms. 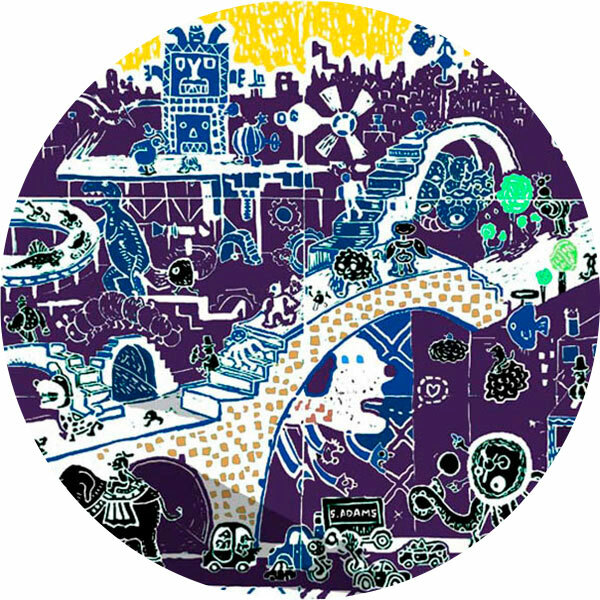 They hold exhibitions of illustration and are involved in various smaller events such as Drink & Draw get-togethers. They have also published their own themed ‘zines’. Andrew Kelly is a freelance calligrapher and hand lettering artist. Specialising in custom type logo design, calligraphy and hand lettering commissions he also has a background in design and photography. A husband and father of two amazing children. Andrew once drove a 3,300 mile mercy run in 66 hours non-stop (UK to Estonia) with his brother to get medication for his eldest daughter. 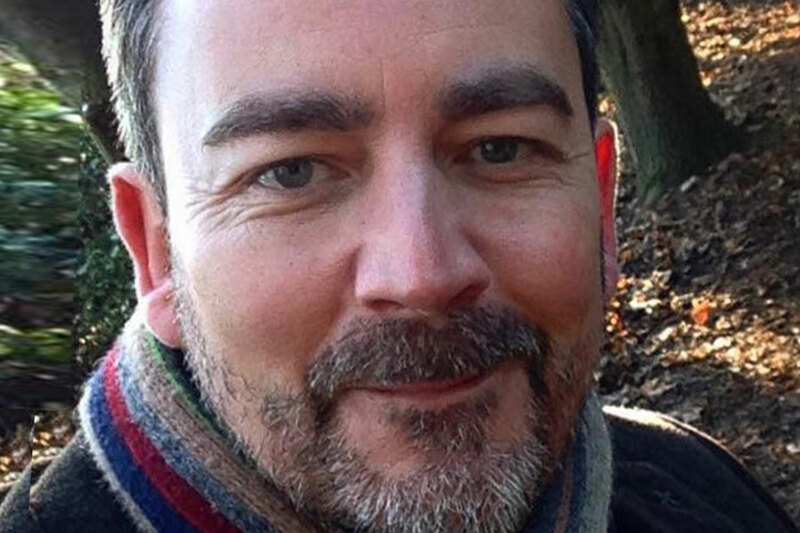 Christian Payne specialise in creative technology and communications. Working with multimedia creation, social media documenting and amplification. He also consults. Working with large and small businesses, news agencies, charities, NGO’s and the arts and corporate sector. 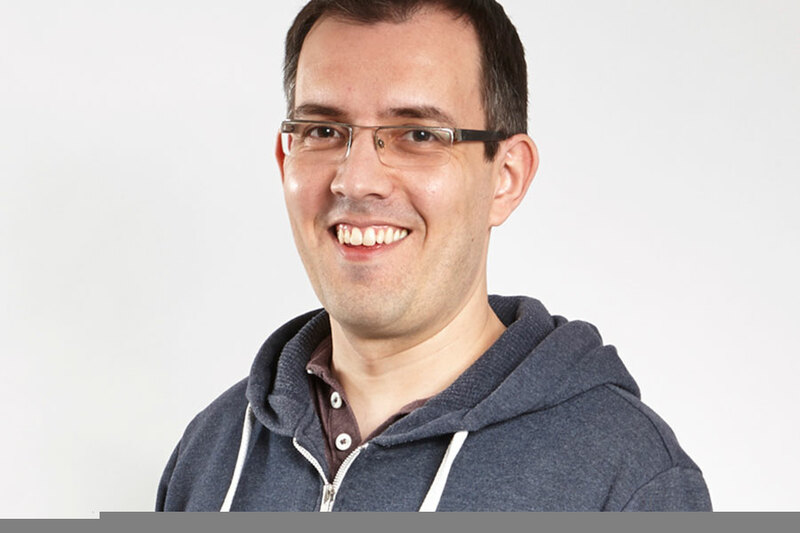 He likes to travel light and share stories and interactions in realtime and blogs as @Documentally and occasionally writes about technology for The Guardian. Some of the workshops he delivers focus on documenting and sharing stories with networked devices. From getting to grips with Twitter to Mobile Video Production. Paul Pibworth is an artist and sculptor who left school in 1979 and found himself starting working life as an apprentice sheet metalworker. He worked for a number of companies before stepping out on his own designing and manufacturing bespoke, furniture, fittings and artefacts. Paul found that he had a talent for making things and that he could coax the idea from his clients concept right through to completion. 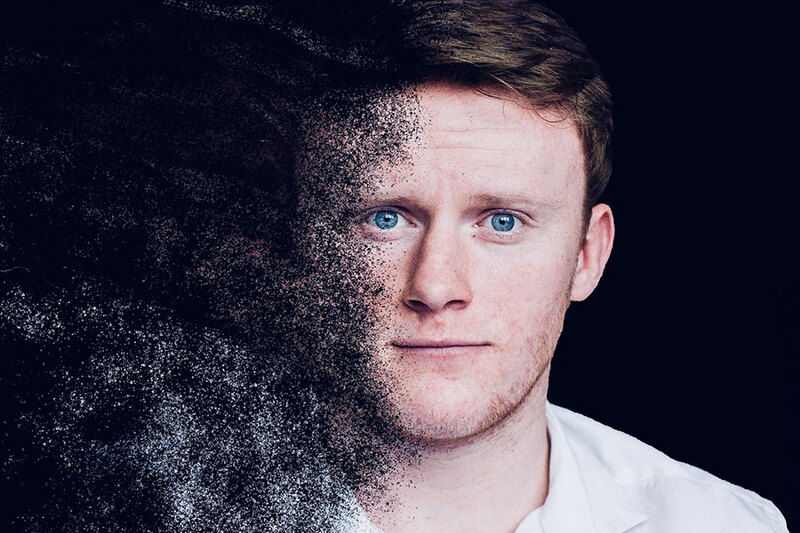 At this stage in his career he leapt back into education, firstly taking a HND in 3D design in Bedford, followed by a BA in Spatial Arts and Arts Management at London Metropolitan University. Hosted within the architectural school he studied alongside and was encouraged to collaborate with the architectural students. 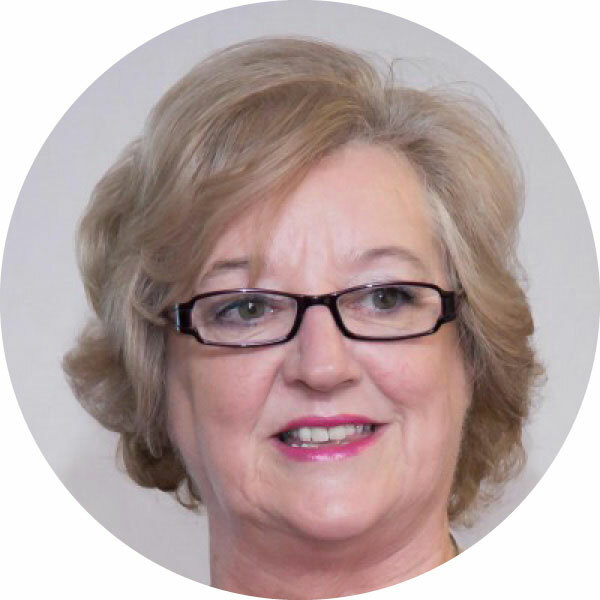 Ann Hawkins qualified as a Fellow of the Institute of Personnel Management studying psychology and economics, she helped to implement the first major set of equal opportunities legislation in the UK. Ann started her first business in 1986 and has been advising other business owners since 2005. She publishes information and ideas for business owners on her blog and in many guest posts and interviews. Melina La Firenze is an artist living and working in St Neots. Born in Italy and brought up in London. She is self-taught and has been a painter all her life. She has been making jewellery since 2000. Her paintings have been exhibited in London and Barcelona and are now available as prints. Her work is inspired by nature and the forms found in nature. The use of colour echoes a Mediterranean vibrancy and warmth such as in the deep blue skies and earthy tones. This passion for combining colours and textures is carried forth into the jewellery, hand-selecting semi-precious and precious stones and metals. 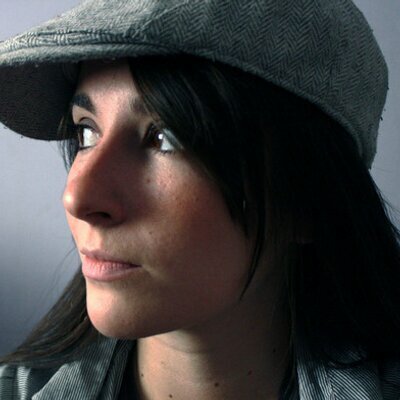 Cat Goddard is a graphic designer with over 15 years experience and a penchant for typography and beautiful lettering. It’s probably fair to say Cat is a bit of a perfectionist and with a keen eye for detail, she wants to make sure things are just right for the client, she wants you to be happy. Cat has worked on design projects for charities and large multinational brands alike, including sectors from travel to giftware and software to automotive. 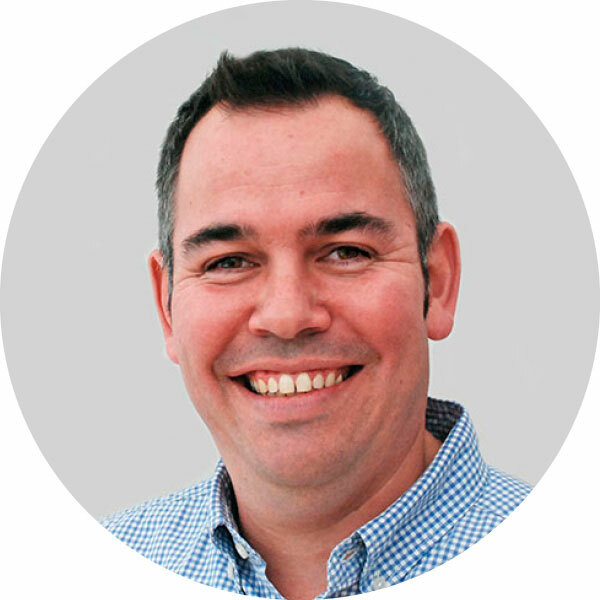 Phil Toms is a marketing specialist and has spent nearly twenty years in the world of marketing most recently as the Marketing Director at Charles Wells brewery and before that spending twelve years at Nestle cereals. Phil recently took the decision to step off the corporate hamster wheel and has established a Marketing Consultancy named 47 Marketing dedicated to helping brands, business and agencies deliver impactful marketing. 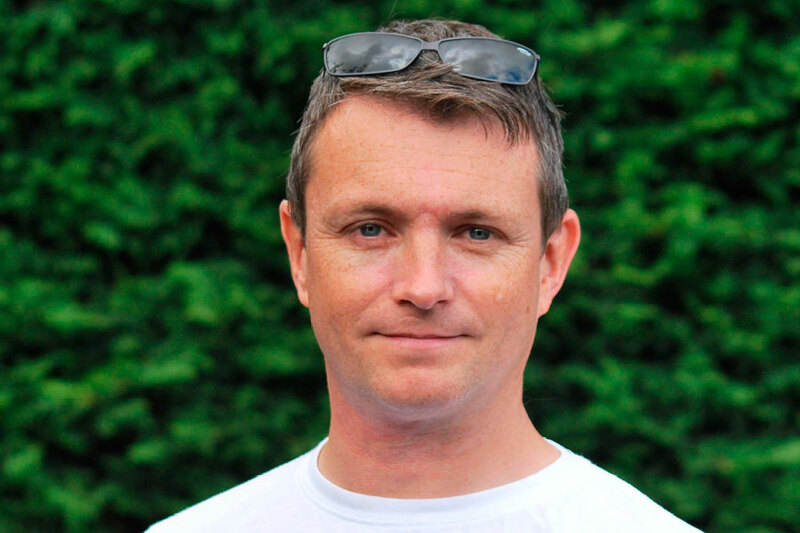 Phil is able to help businesses with all aspects of practical marketing from brand thinking, through developing effective plans to freelance and individual project based support. Phil’s wife Rachel is also involved in the business and as trained home economist is able to support on food and drink projects where recipe development, food styling or food expertise are required. Jojo Debrazza is a writer of young adult and children’s fiction. The Charm is her debut YA novella. Jojo has a vivid imagination and likes to make up stories. Her friends call it lying but she calls it writing. She lives mainly in a dream world with her partner and a house full of small furry animals. It’s a carefree happy place where everything is bright and fluffy. Jojo’s other passion is football (soccer). As well as playing and helping to run a club she works as a football development officer in Cambridgeshire, England. 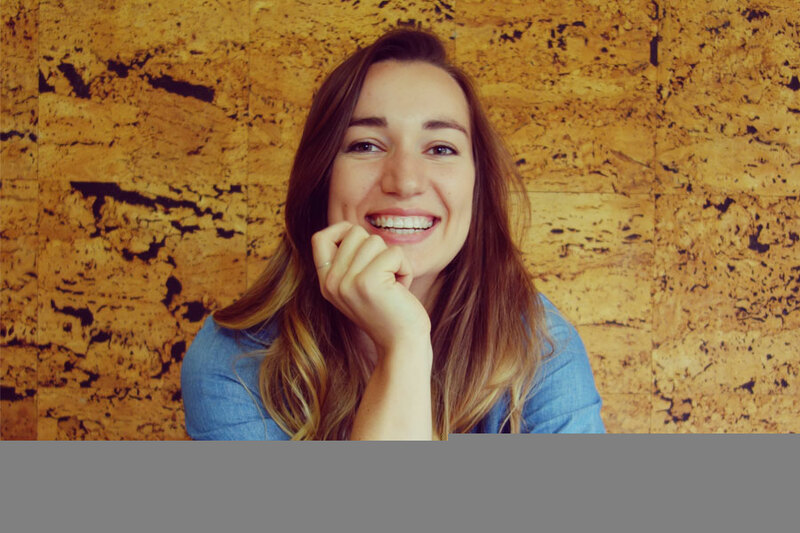 Localisation project manager and Yoga Therapist, Rebecca Mitton works for SOFTtalk Translations, managing multi-lingual, multi-site translation and localisation projects. 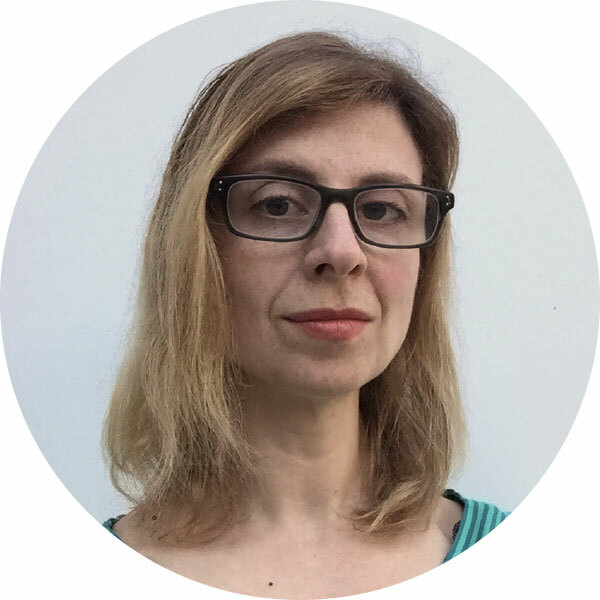 She has technical capabilities across a broad range of projects and languages, with highly developed project management skills gained within the software localisation industry. She has a background in translation and also Localisation Engineering. Before working for SOFTtalk, she worked for Canon Europe for over 10 years. 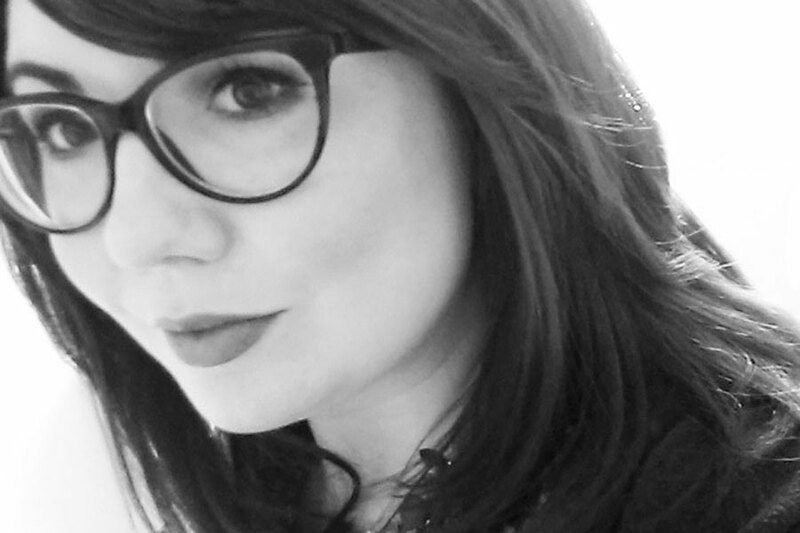 Rebecca has a Masters in Applied Translation Studies and a BA in French. 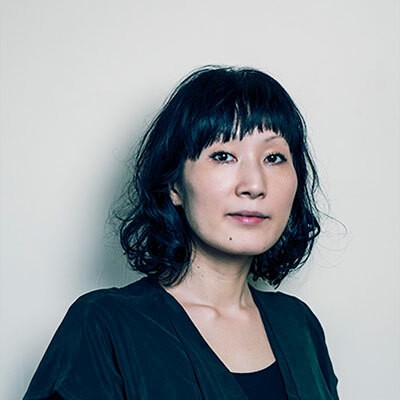 She is fluent in French, speaks German and Japanese, and is well-versed in leading global, multi-site, multi-discipline teams delivering projects on budget and on time. She is an excellent communicator, able to deal effectively with stakeholders at all organisational levels. 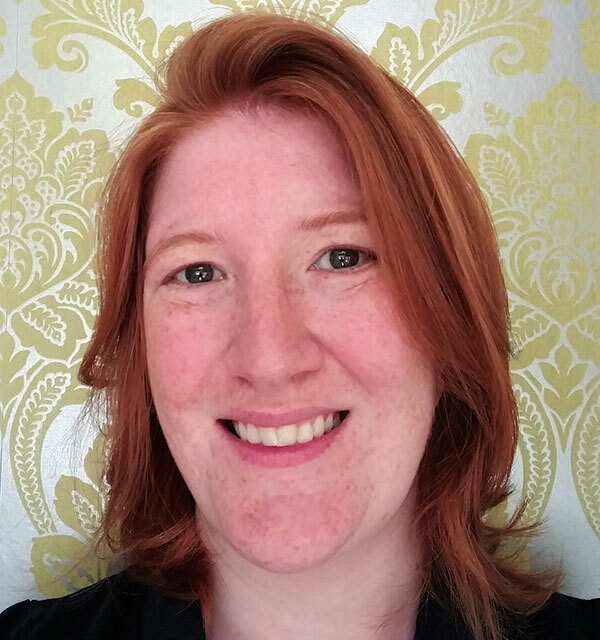 Rebecca is also a fully qualified Yoga teacher and Yoga Therapist and runs classes in St Neots, as At Peace Yoga Therapy. Stuart Adams is an illustrator, cartoonist and picture book maker. His personal illustrations are best described as a bus journey in which you have awoken to find yourself in an imaginary theme park world; a dreamy landscape where characters straight from a chirpy, Mickey Mouse animation mingle with the feverish visions of a Hieronymus Bosch painting. Based in Bedfordshire, Stuart is currently creating picture books and comics whilst exhibiting his personal art and sequential illustrations. Take a look at his blog for the latest work. 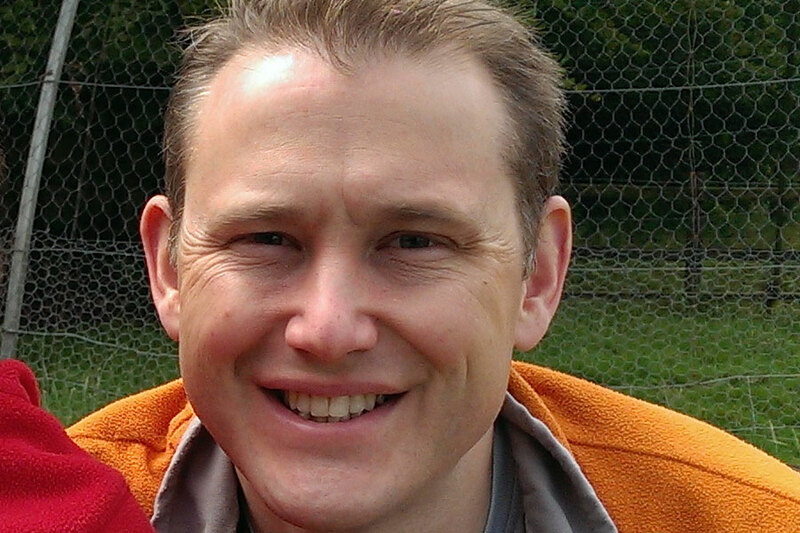 Paul Muir is an artist and drama therapist, living and working in St Neots. Professionally trained at Newcastle Polytechnic, Leeds University and St Albans College of Art and Design. Paul now dedicates his time to portraying the beauty and meaning we experience in the people and landscapes we encounter. His history is in applying drama therapy theory with groups and individuals with children of all ages. Believing that play leads to an enriched understanding of ourselves and others. His work has largely been in schools and colleges in Yorkshire, Hertfordshire and Bedfordshire. Presently his art studio is a Narrowboat on The Great Ouse where he draws his inspiration. 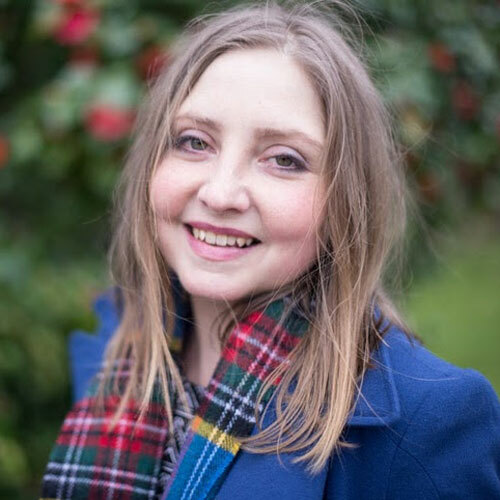 Pixie Copley or Claire Copley studied art, design and photography at college then started working in a graphic design and screen printing company where she learn’t more about working in the real world. In 2007 she opened the doors to her digital media and graphic design company called Pix and Mix. She works for a wide variety of customers both locally and worldwide. Pixie enjoys taking fine art photography and has been selected to display her work all over the world. 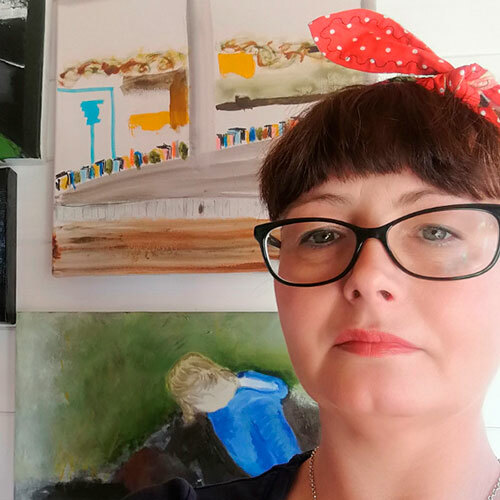 She was awarded with the Licentiateship distinction from the Royal Photography Society in June 2014 and sells prints and gifts that feature her work in several shops online and locally. Hayley Williams has over 14 years professional marketing and project management experience, and has built up her expertise from a variety of roles and sectors – including marketing campaign management at an international charity, within a UK wide product marketing team, at a technology focused PR agency and as Head of External Relations at a not for profit organisation. Hayley loves to connect with people and gets a real buzz from seeing the difference that marketing can make. 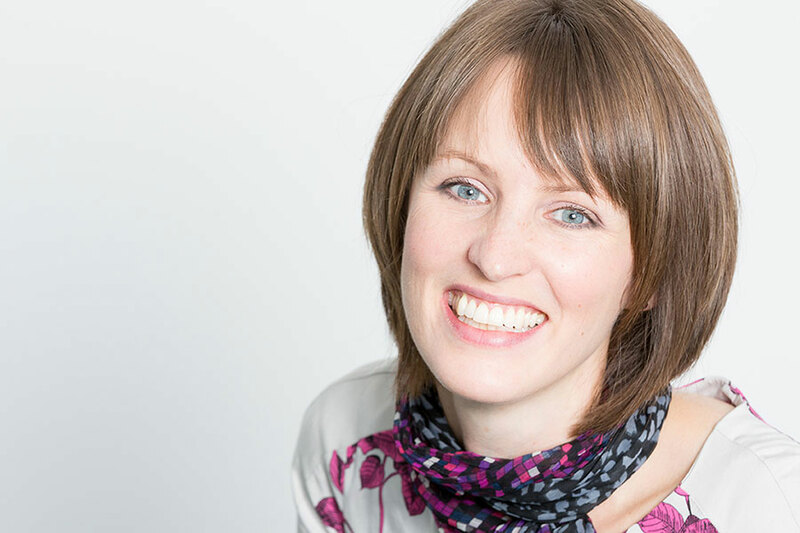 Whether it’s working with businesses that need to create a marketing presence for the first time or those who need additional bolt on marketing services, Hayley loves to get stuck in. 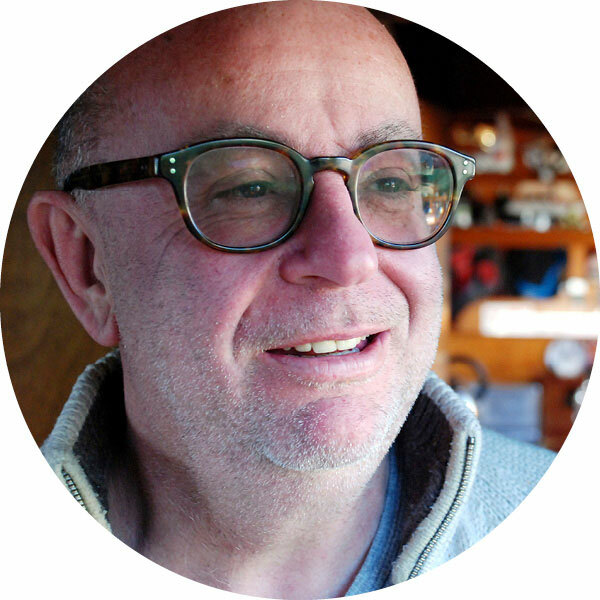 Richard Slade has over 20 years experience in the design industry working in the public, private and charity sectors with some of the top names in design. 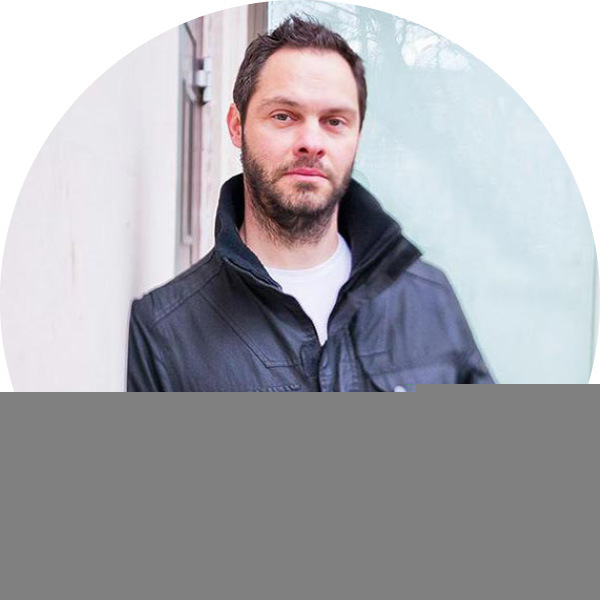 He produces highly creative work for brands and organisations across the UK and his work covers a wide range of disciplines, including web, print and corporate identity. As well as extending his skills in to both marketing and project management, Richard is also a highly capable photographer and illustrator. A huge advocate of design and creativity Richard formed Neotists in 2013 as a way to promote local freelance talent and community engagement. How he finds time to also row nationally with St Neots Rowing Club we don’t know. Are you looking for a freelance creative in the St Neots and Huntingdon area, then take a look at our people section to find the right person for the job. If you'd like to join the network then please email richard@neotists.co.uk and if you'd like a profile on our people section we can sort that too.